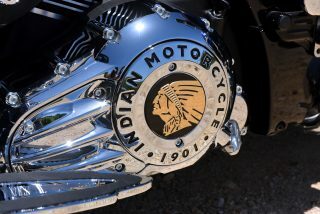 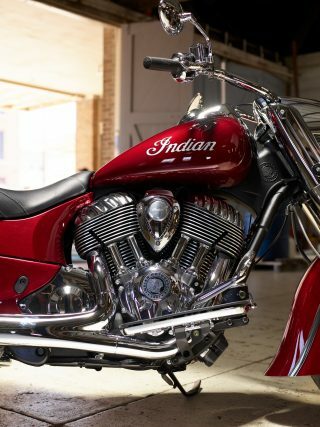 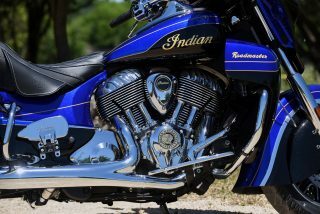 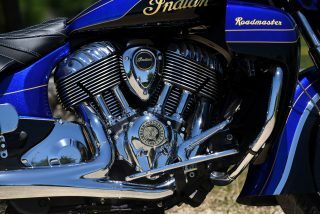 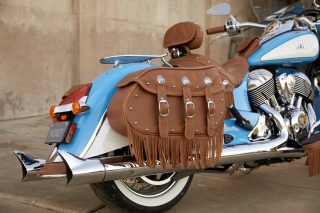 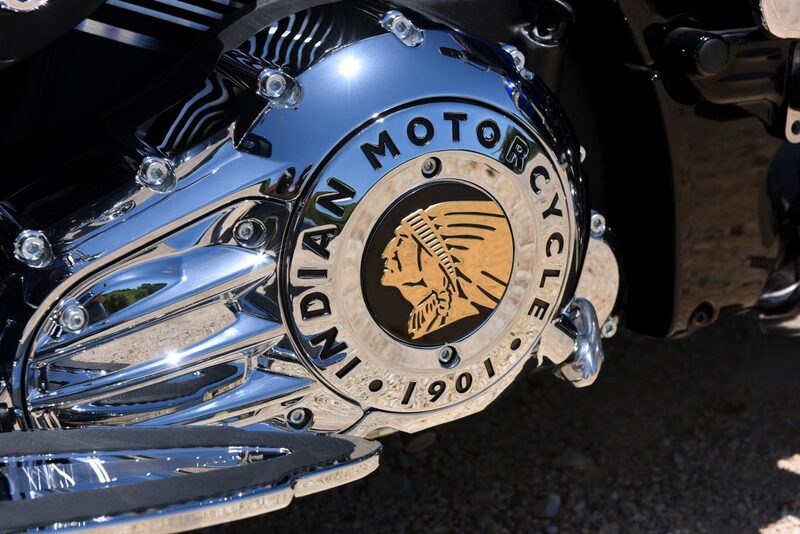 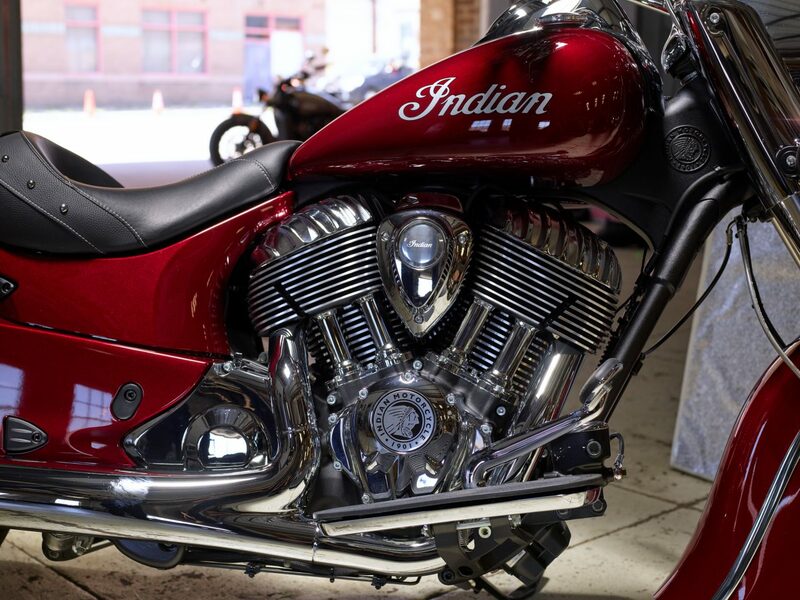 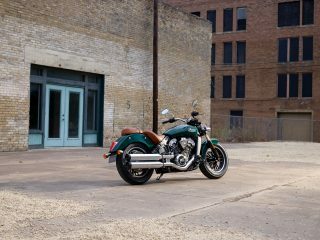 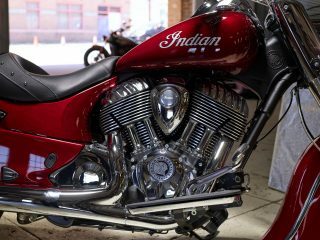 Minneapolis, MN, July 26, 2017 – Indian Motorcycle, America’s first motorcycle company, today announced its line-up for MY18. 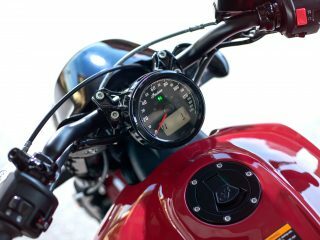 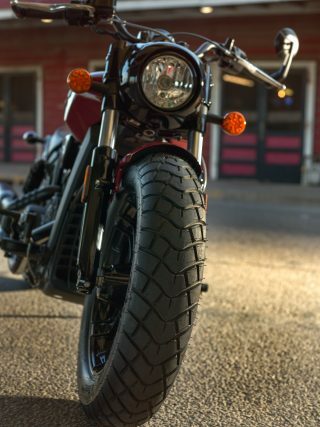 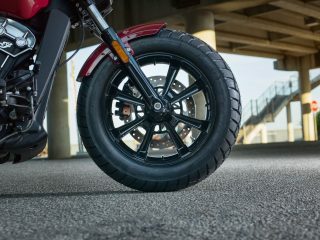 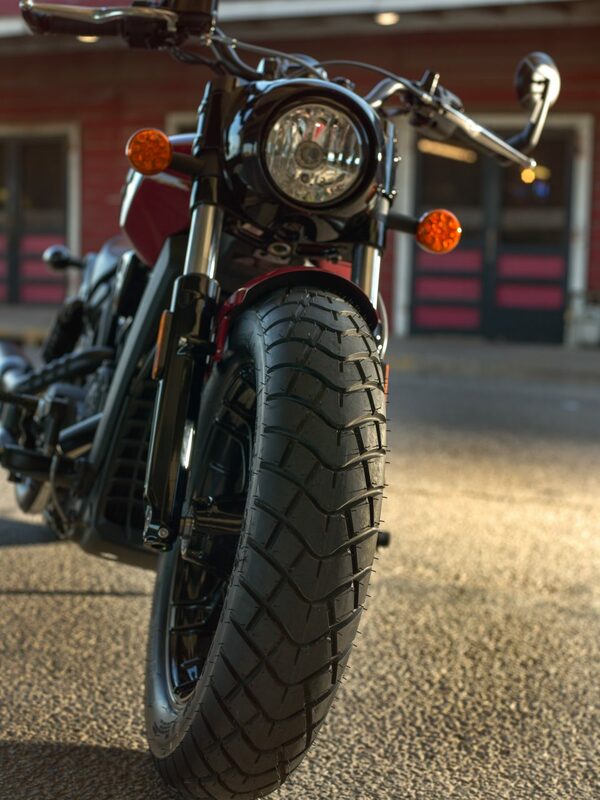 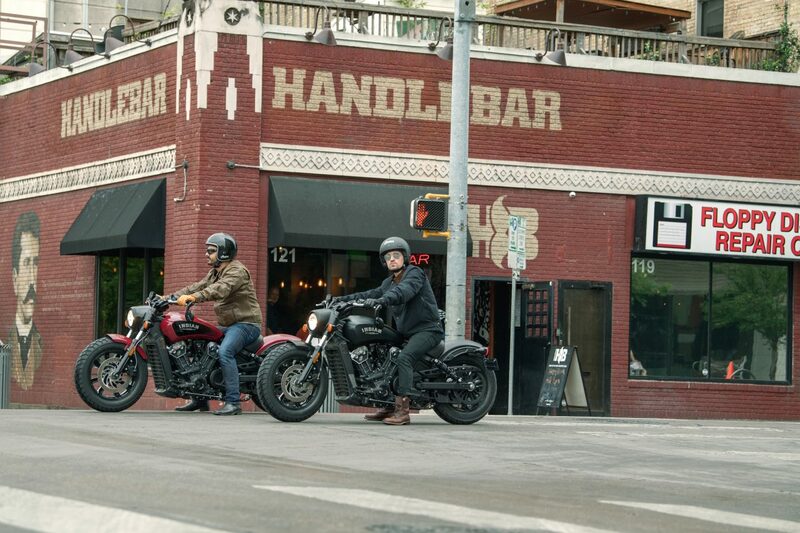 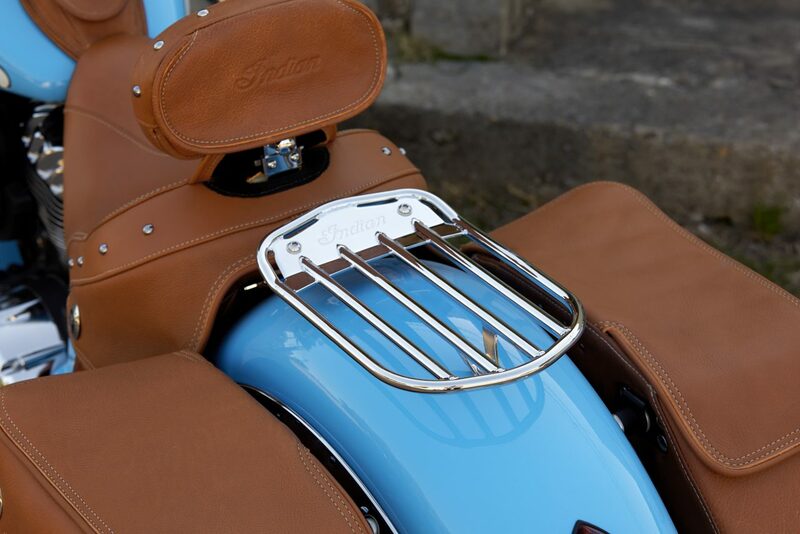 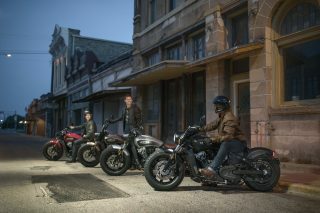 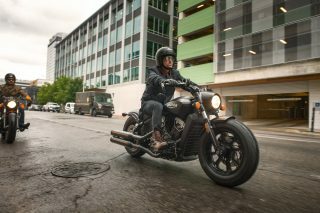 New model additions for 2018 include Scout Bobber, Roadmaster Elite and Springfield Dark Horse. 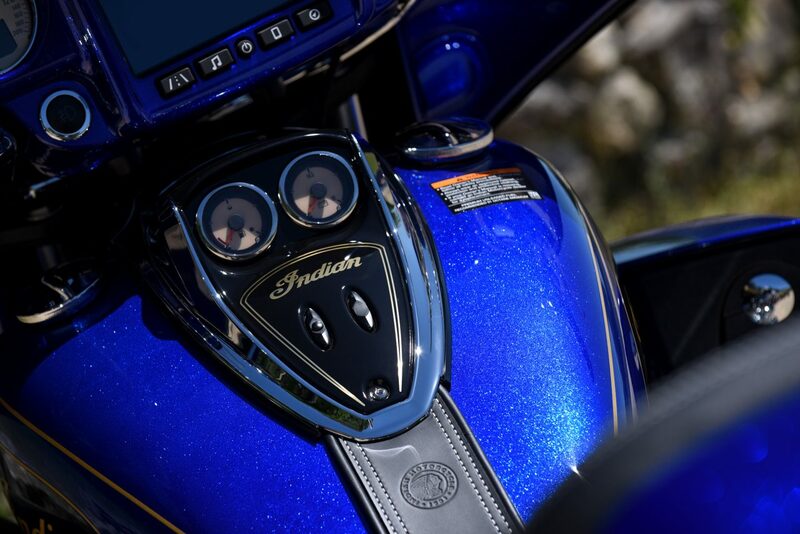 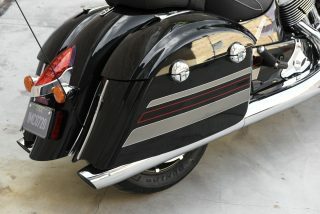 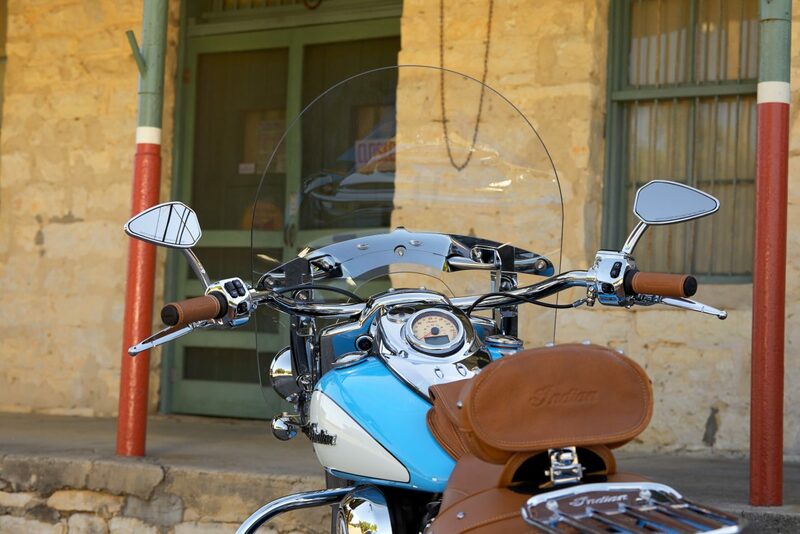 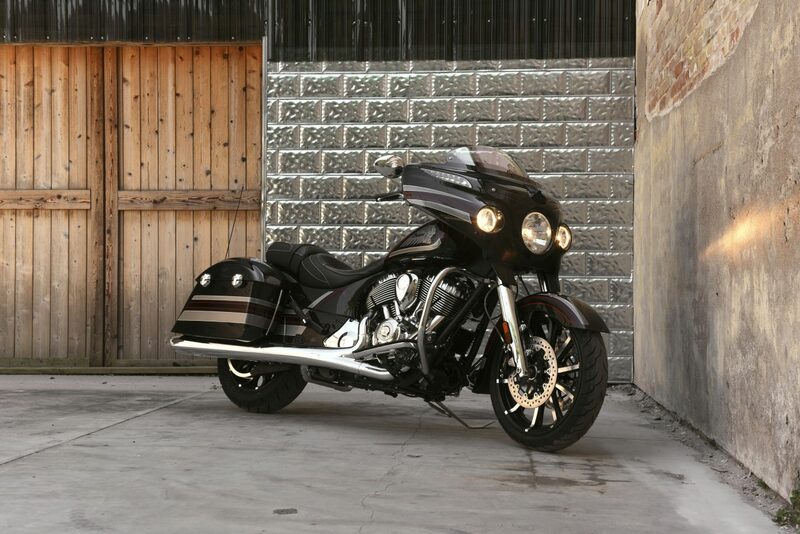 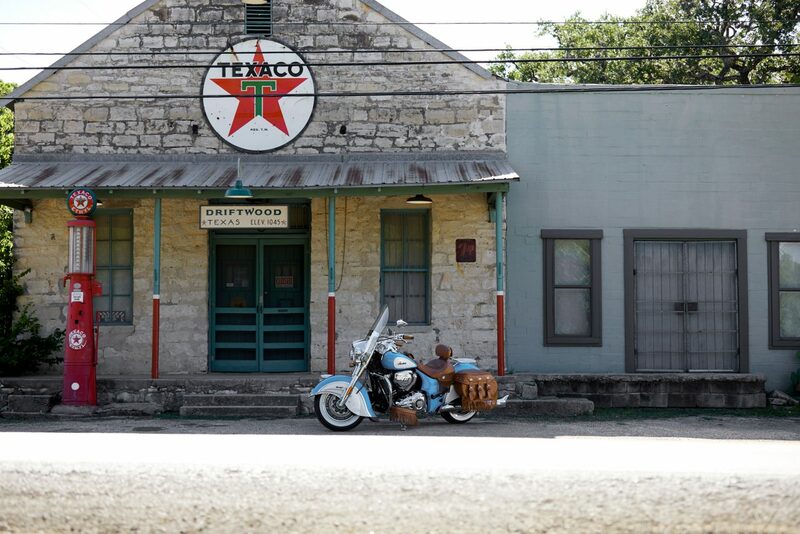 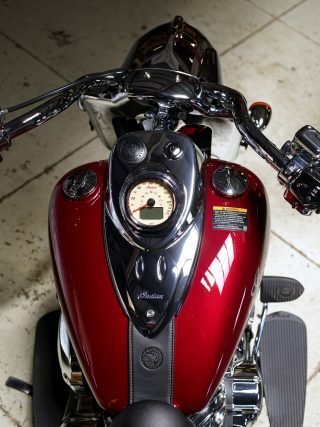 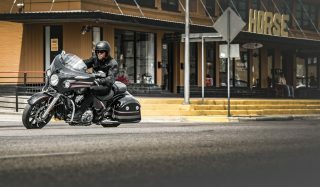 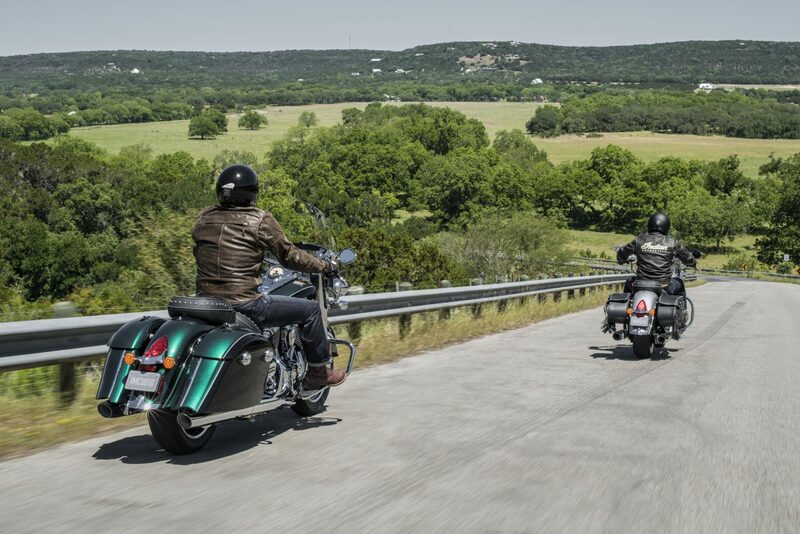 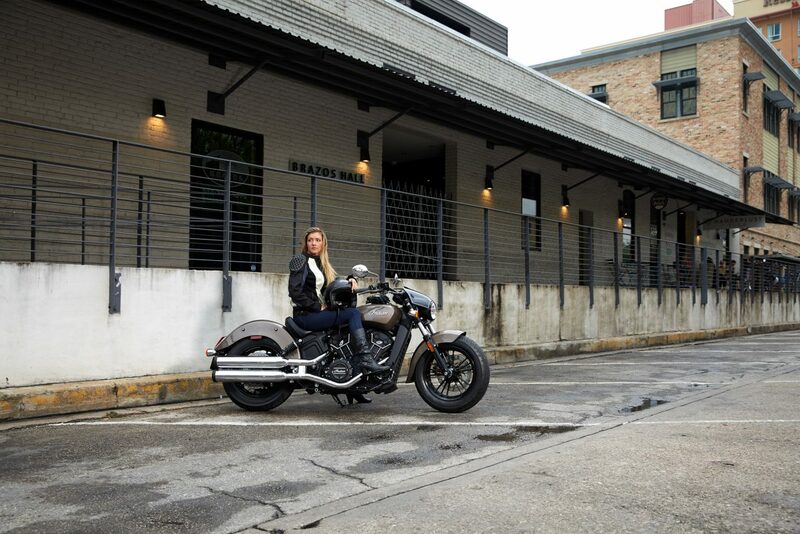 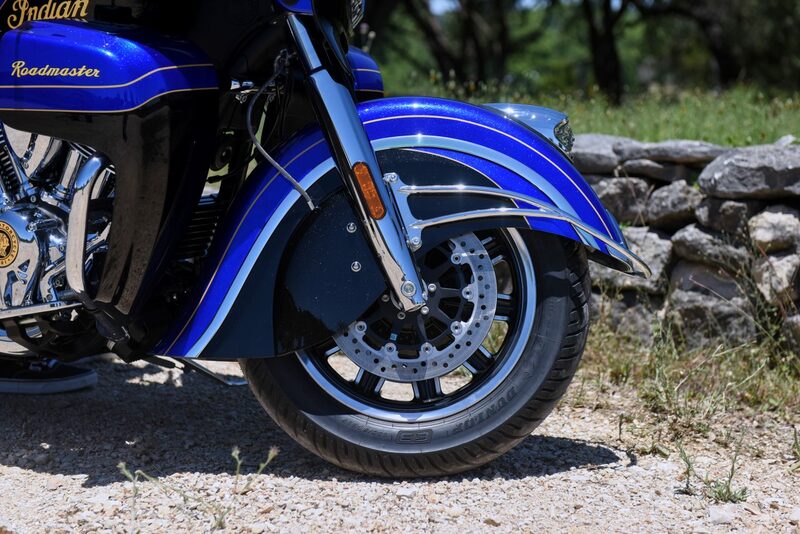 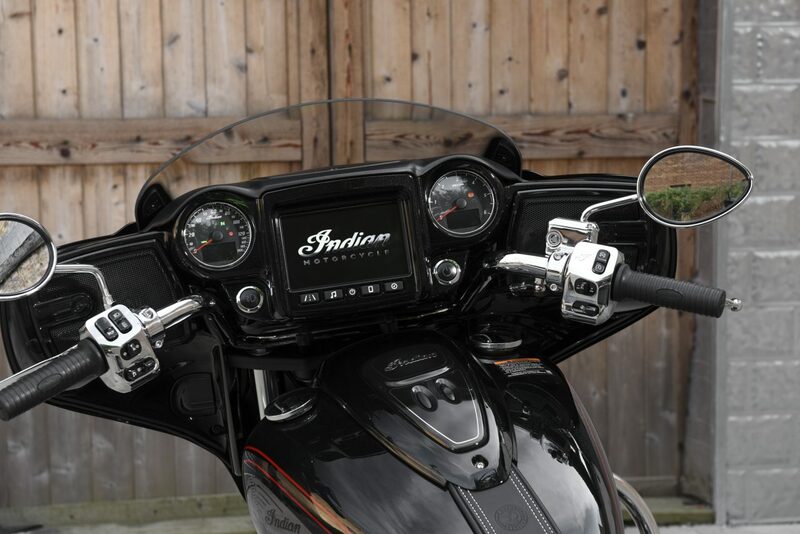 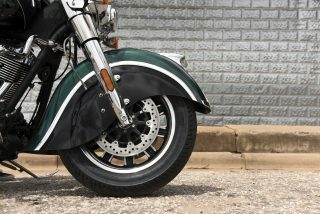 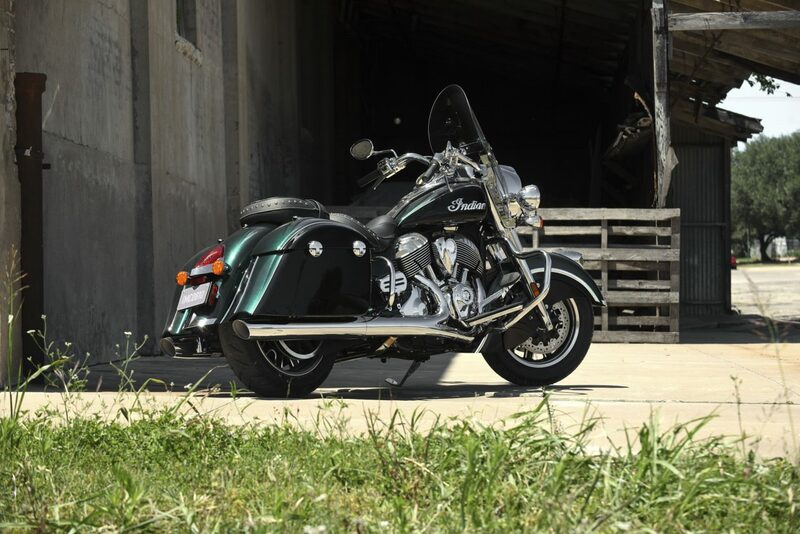 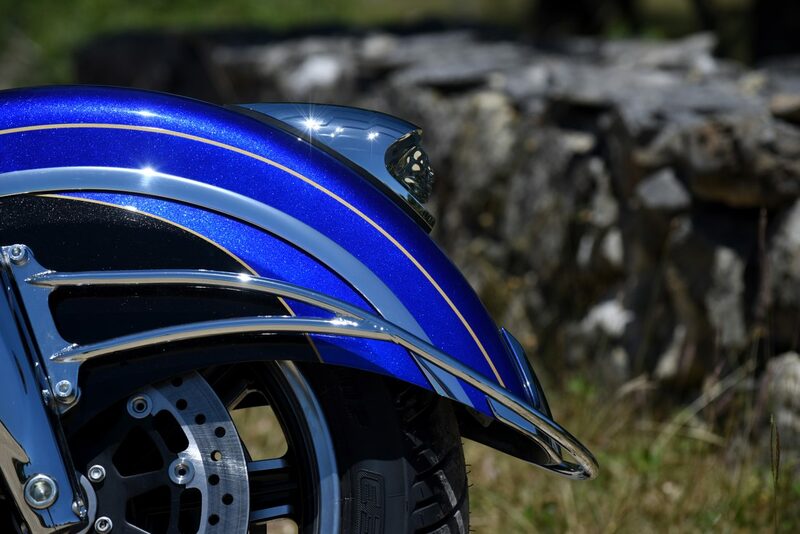 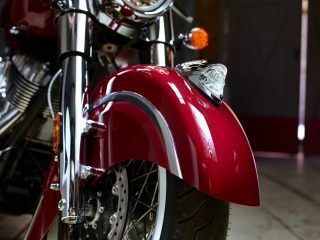 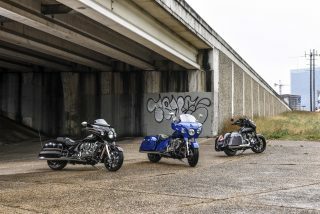 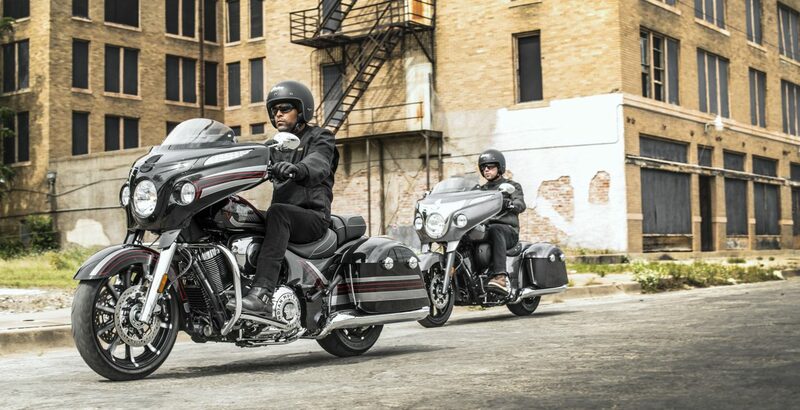 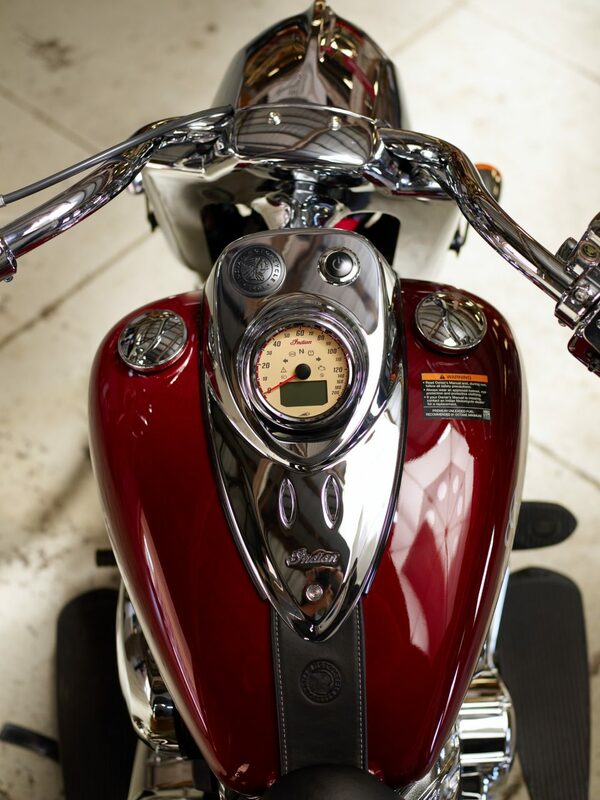 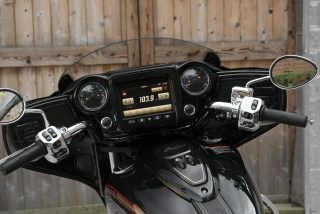 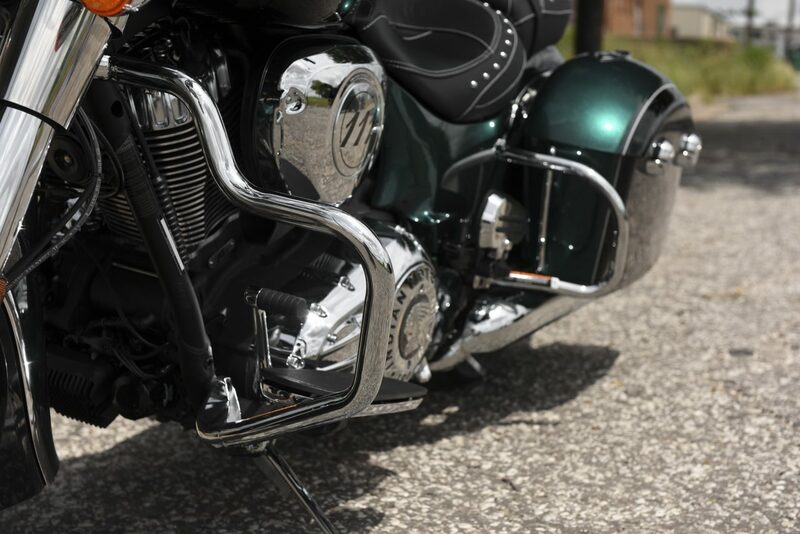 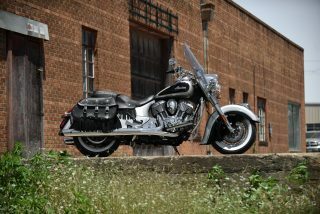 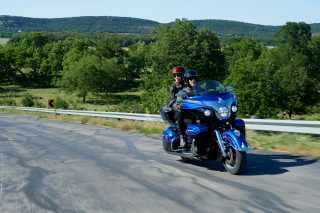 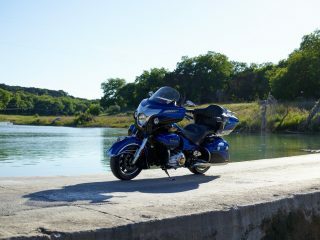 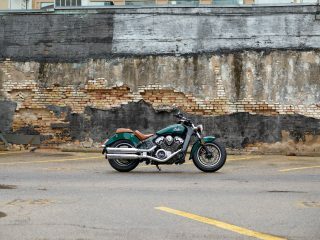 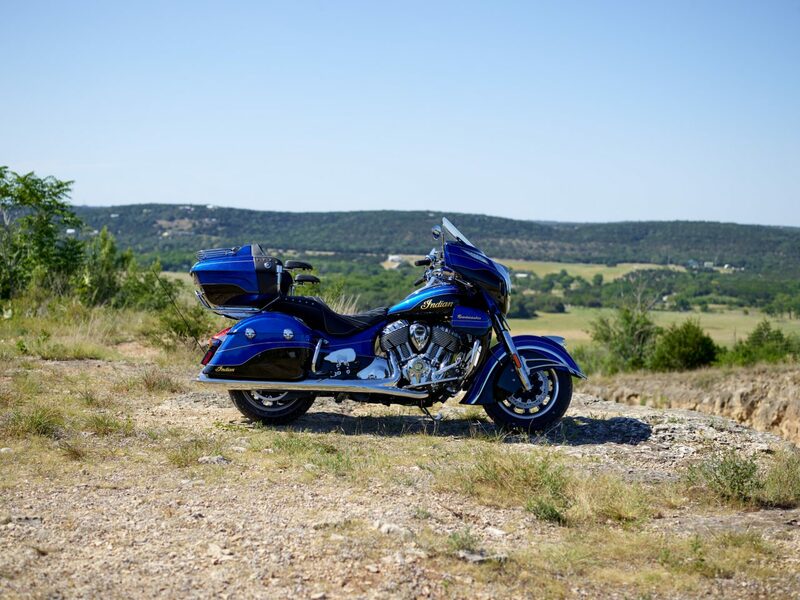 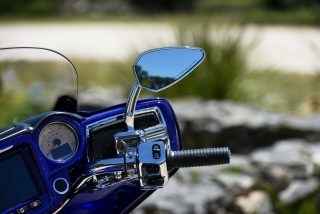 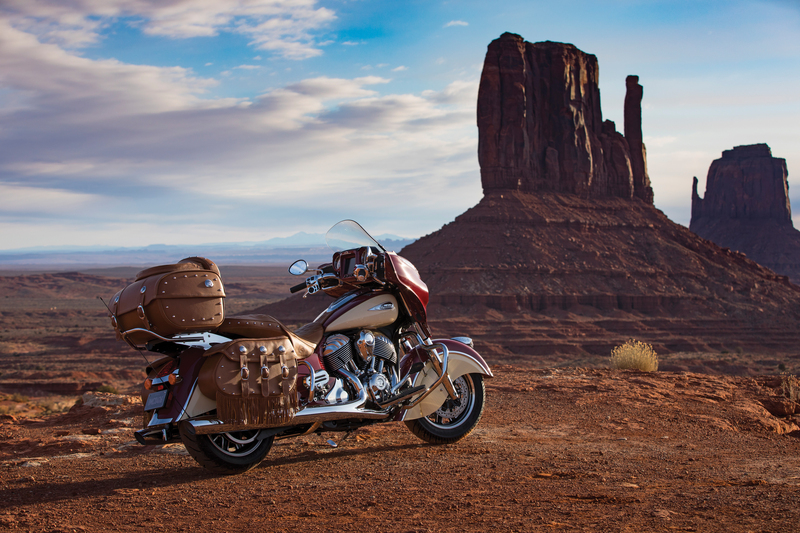 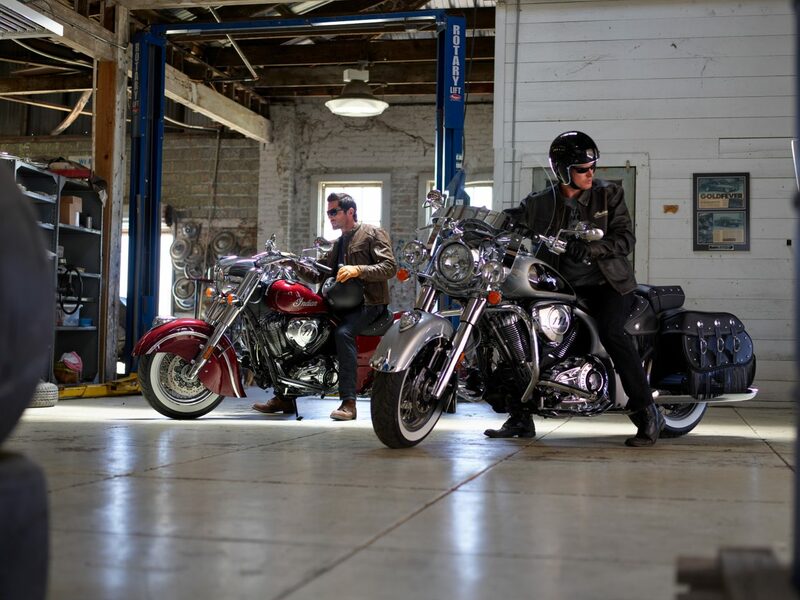 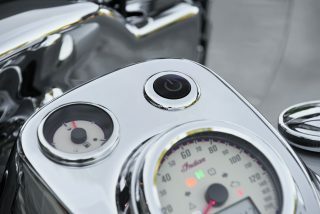 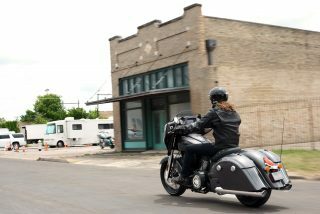 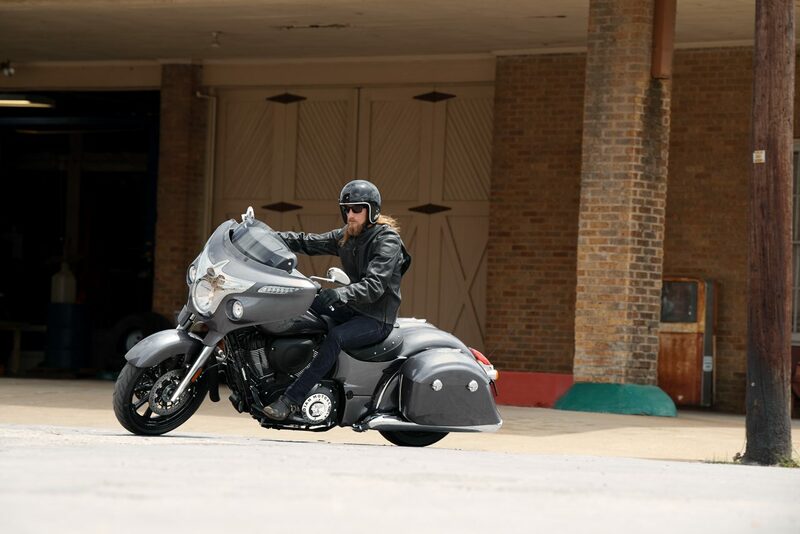 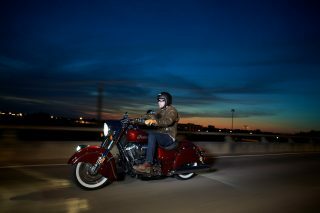 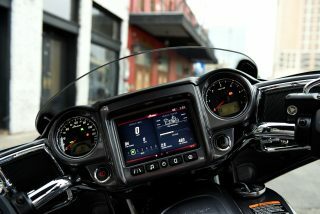 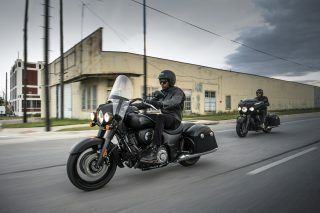 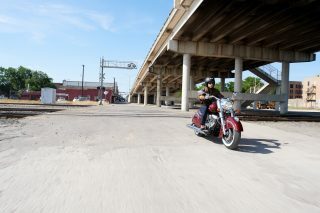 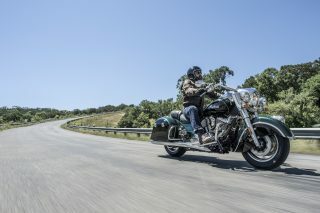 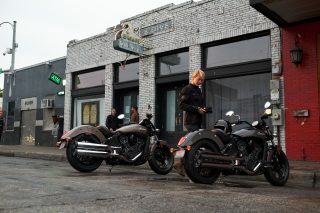 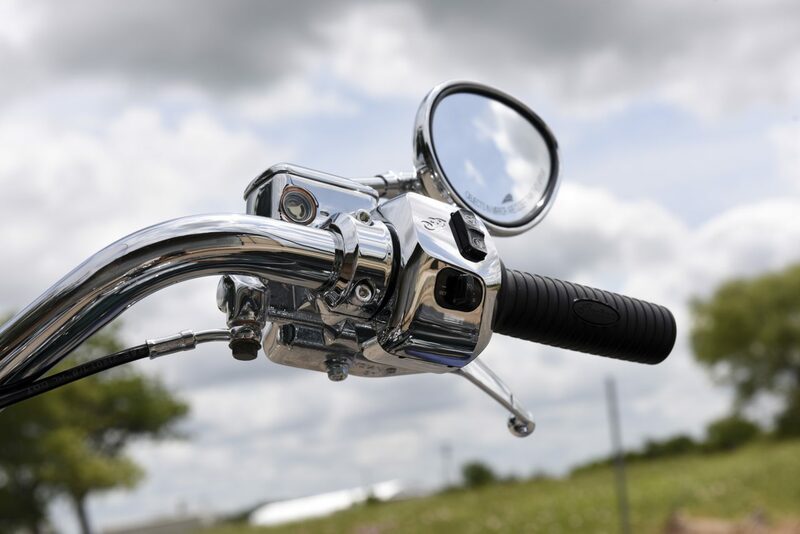 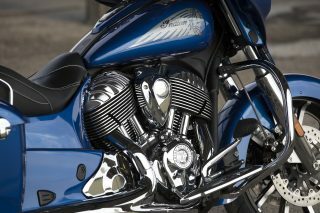 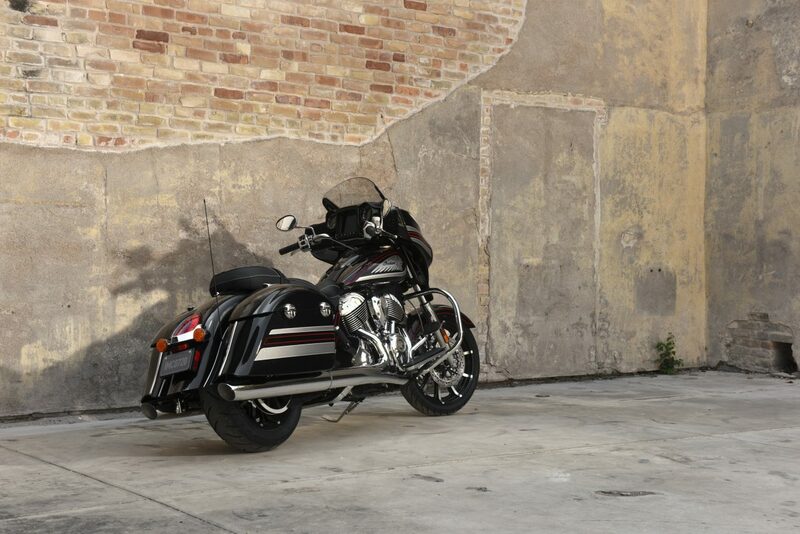 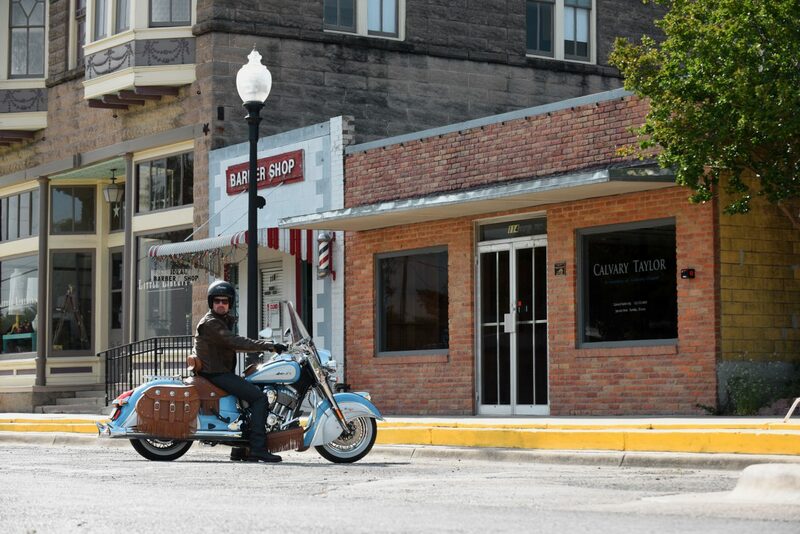 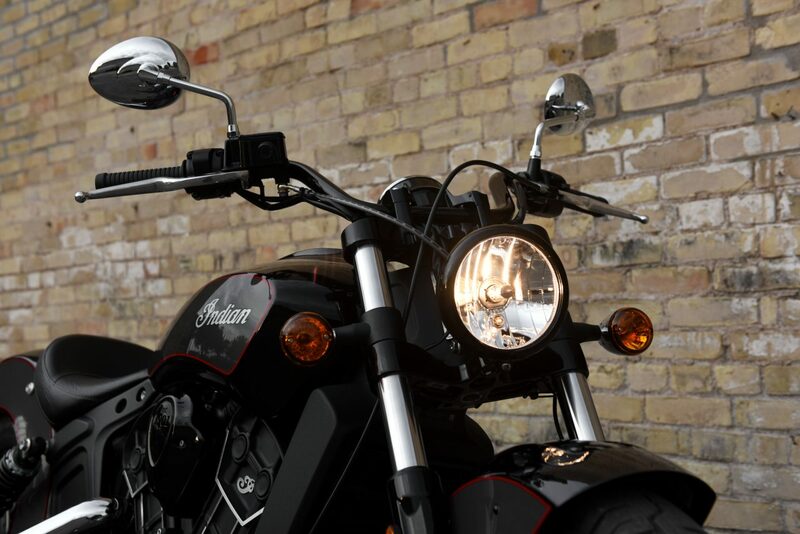 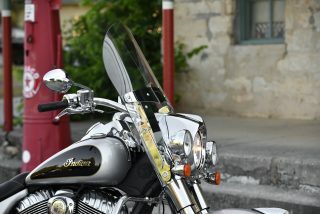 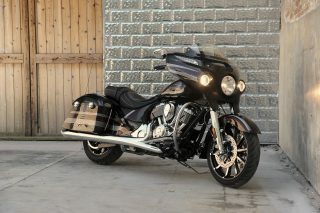 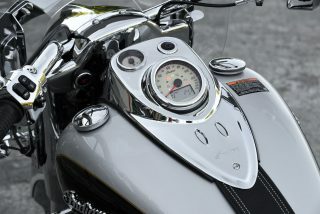 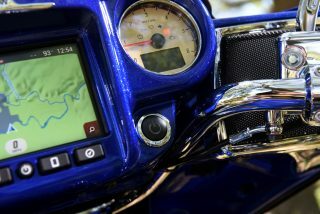 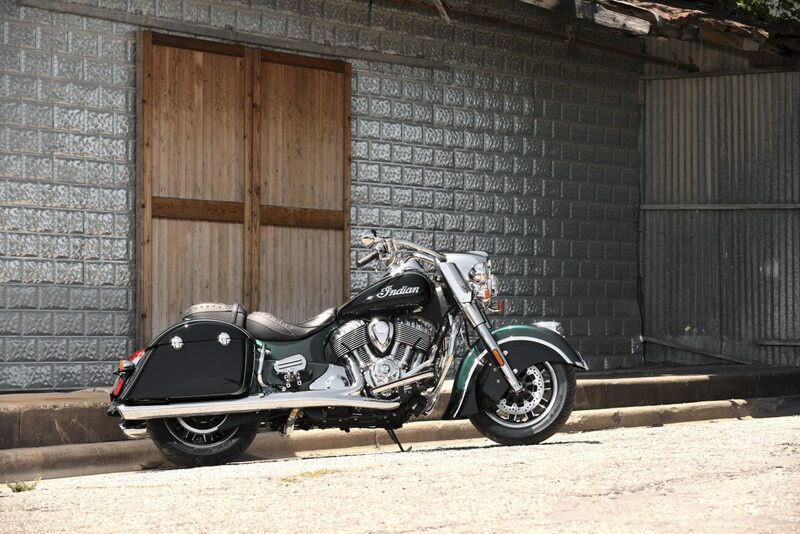 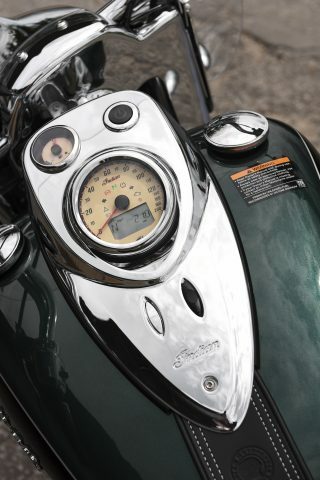 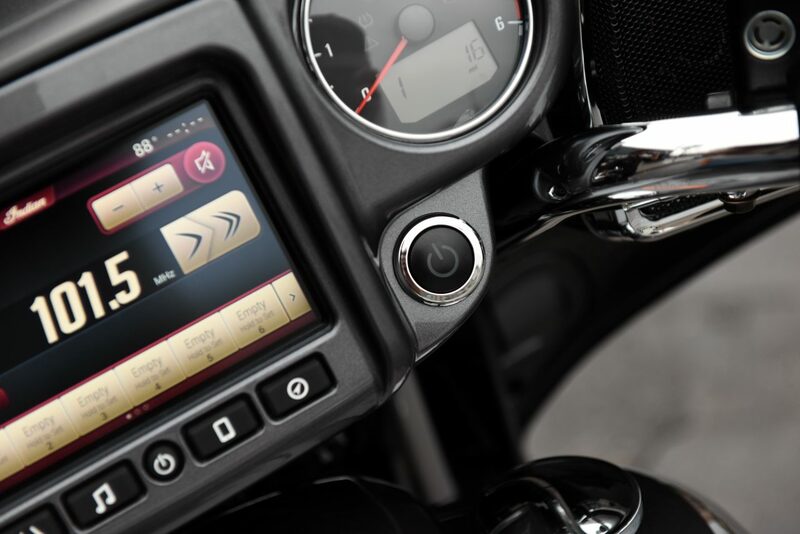 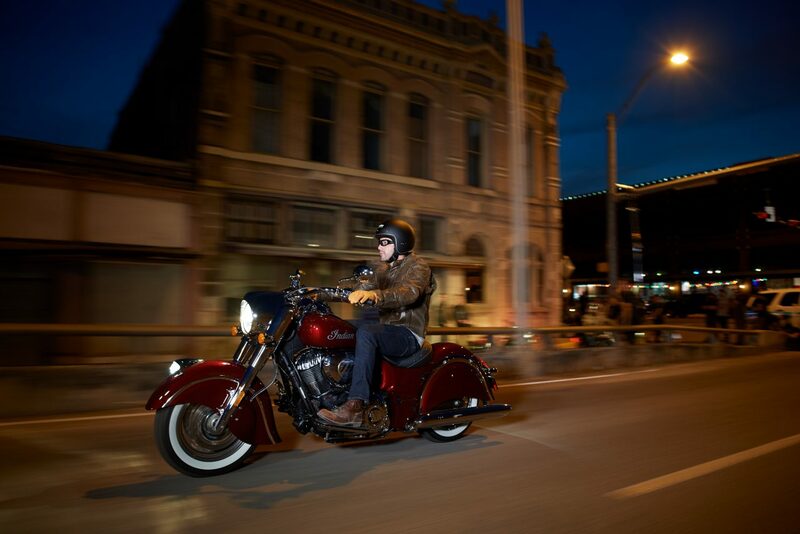 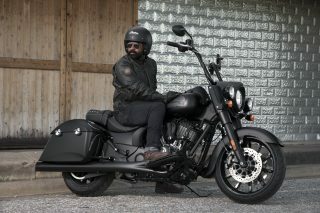 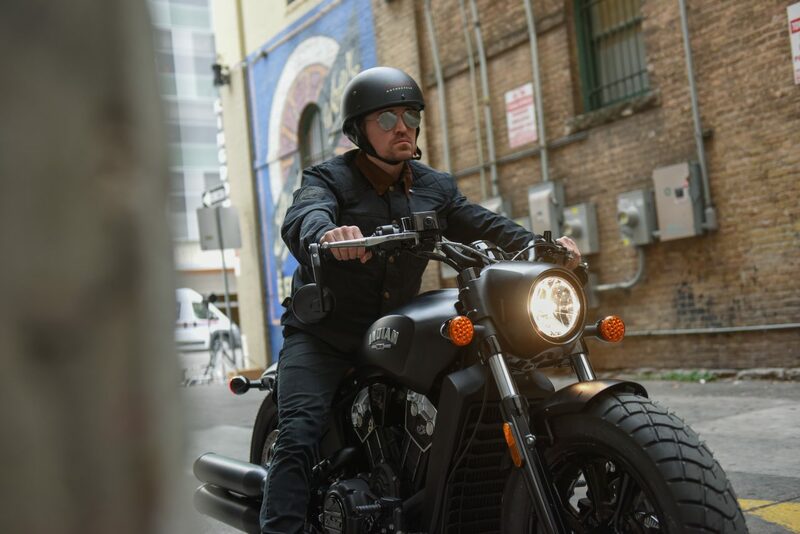 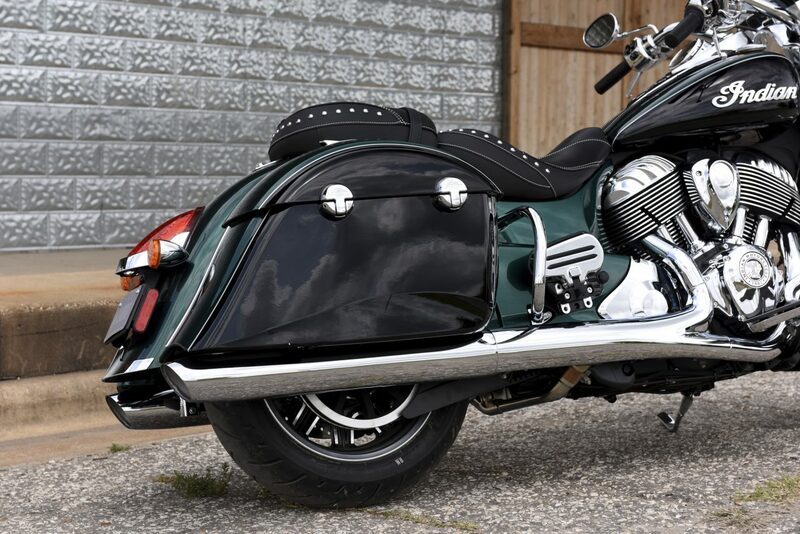 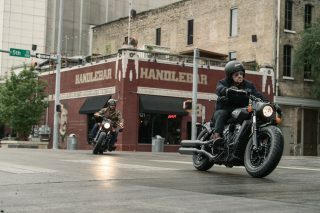 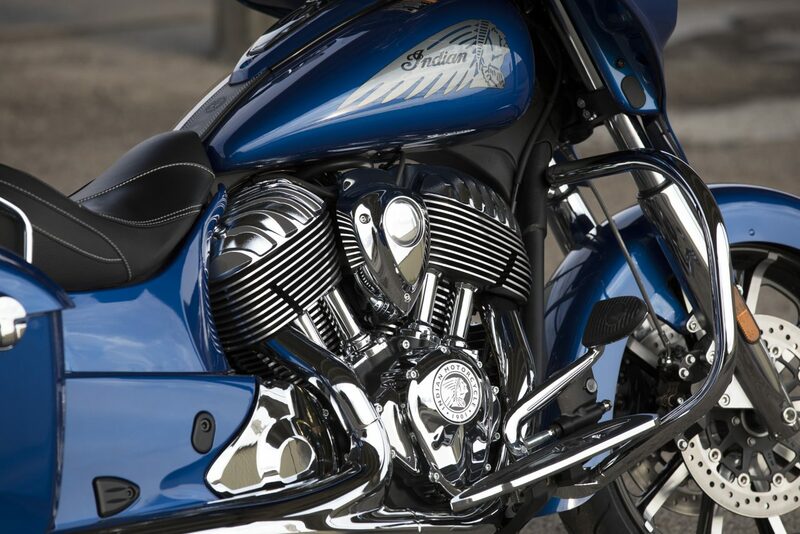 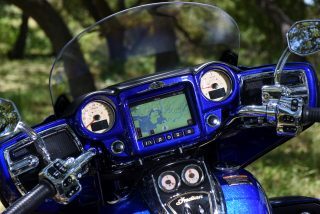 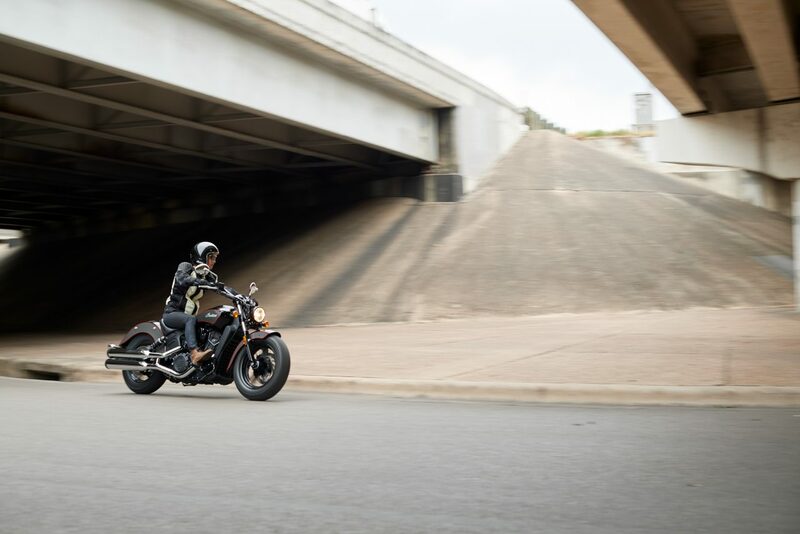 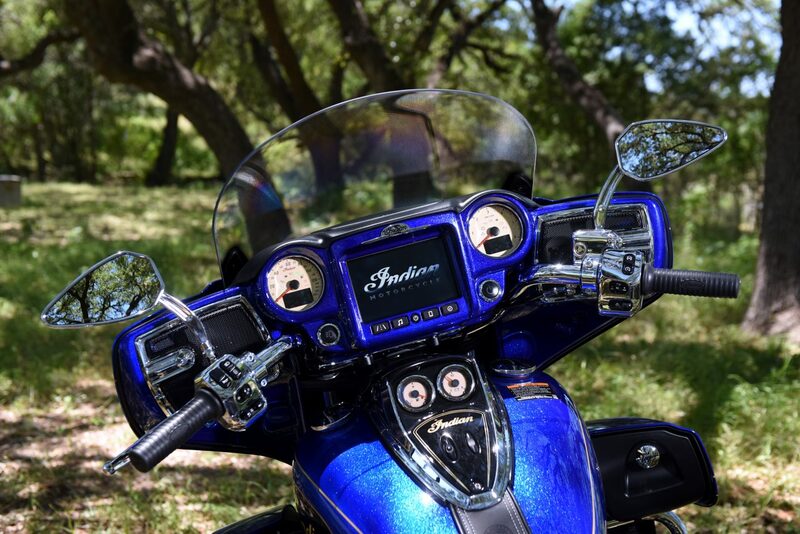 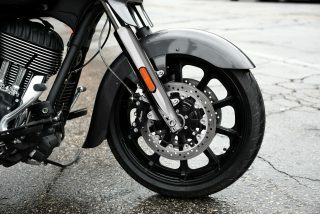 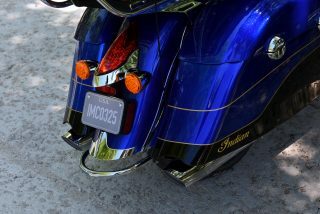 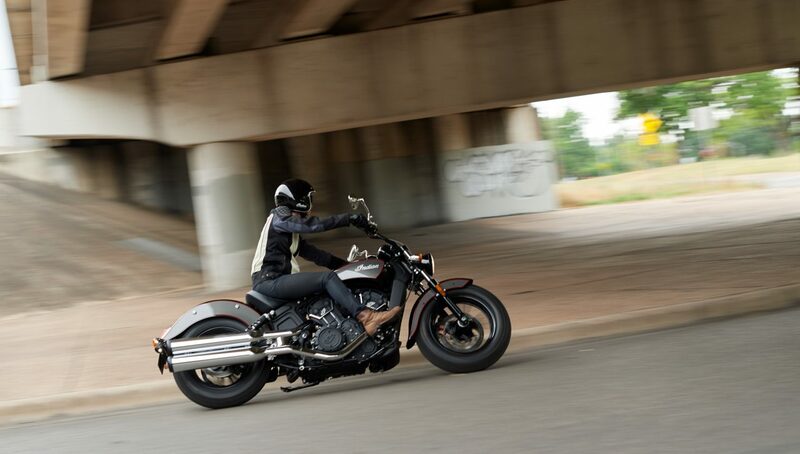 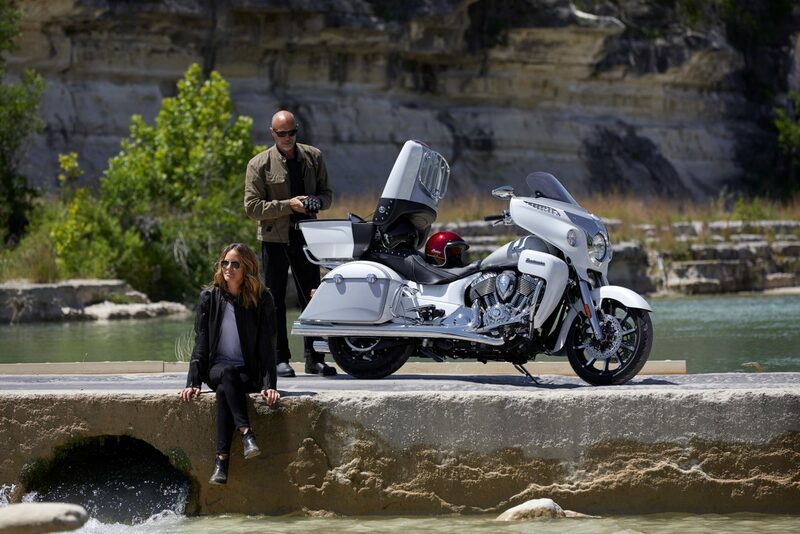 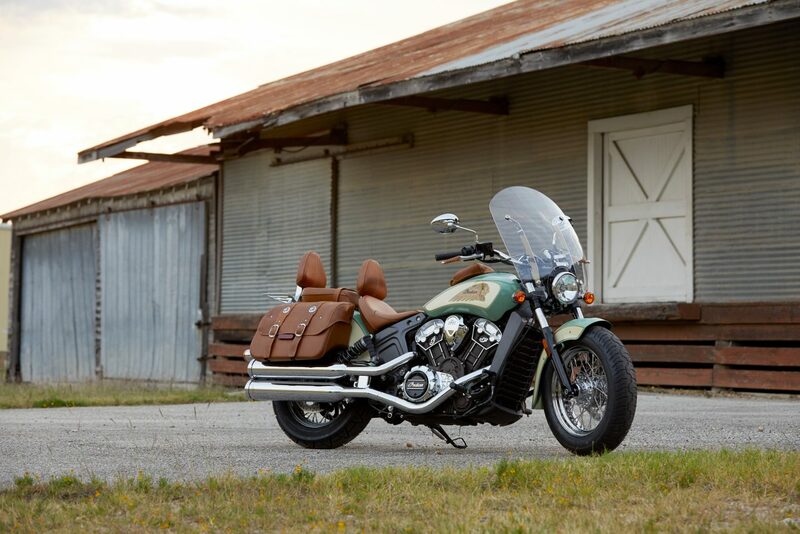 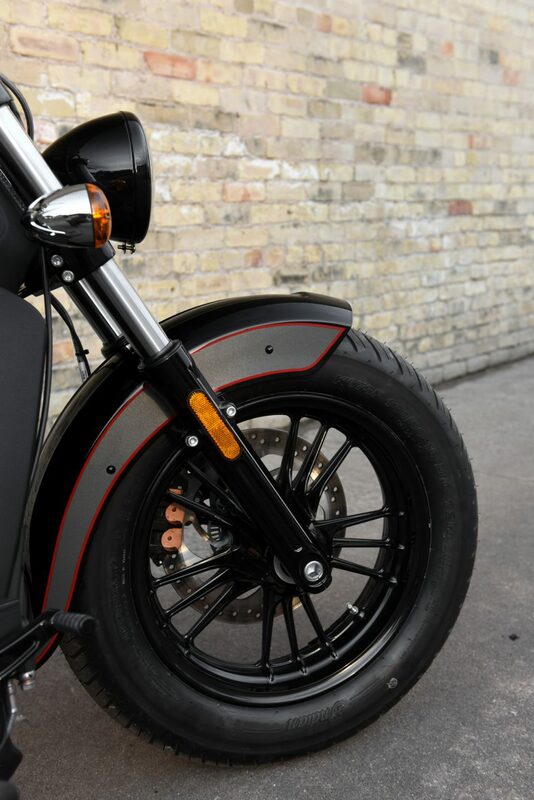 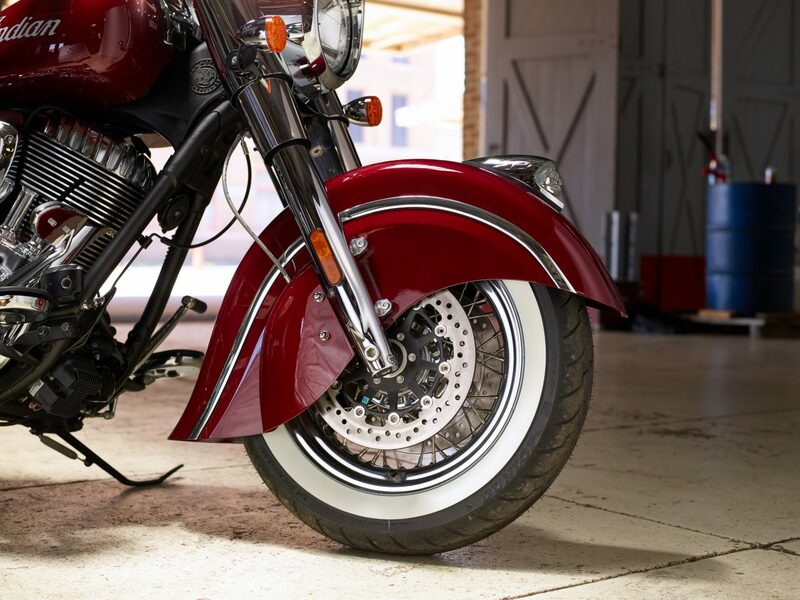 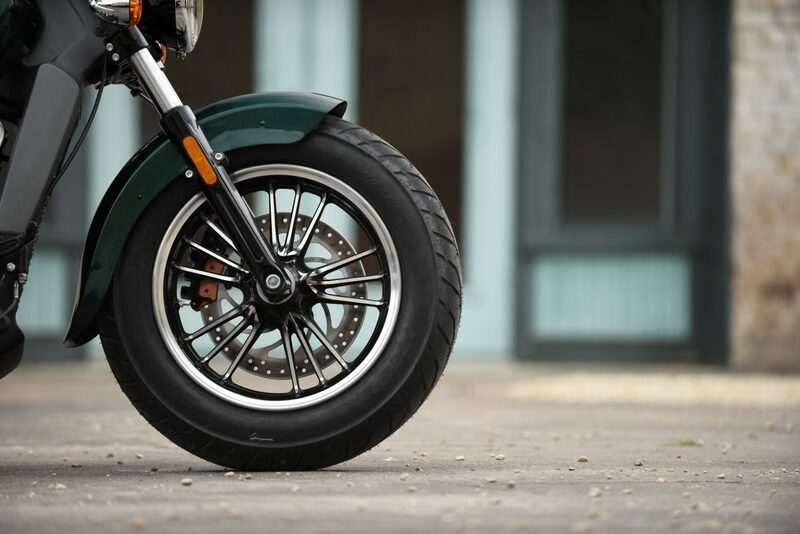 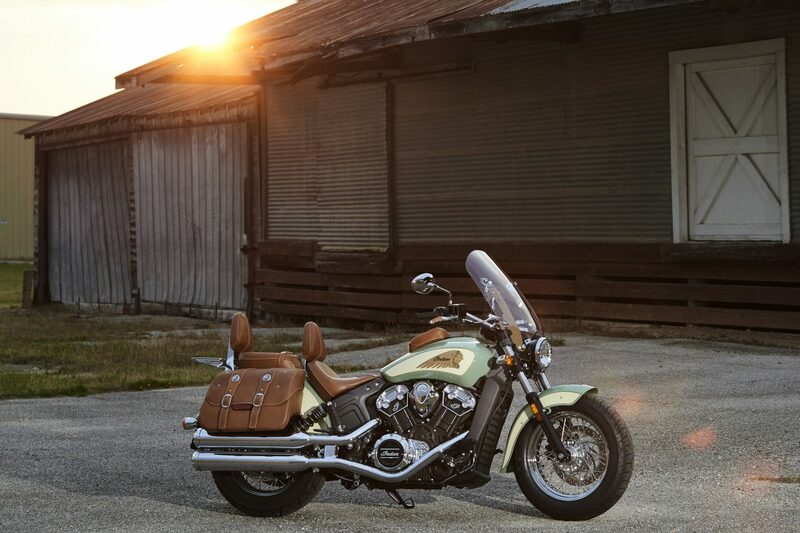 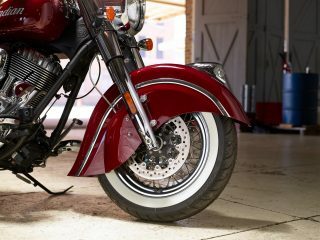 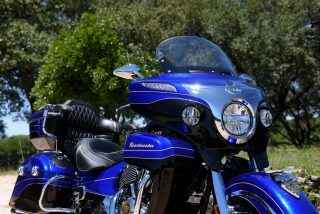 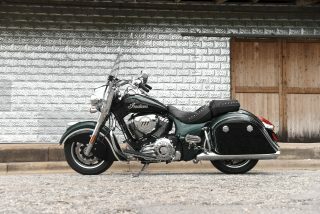 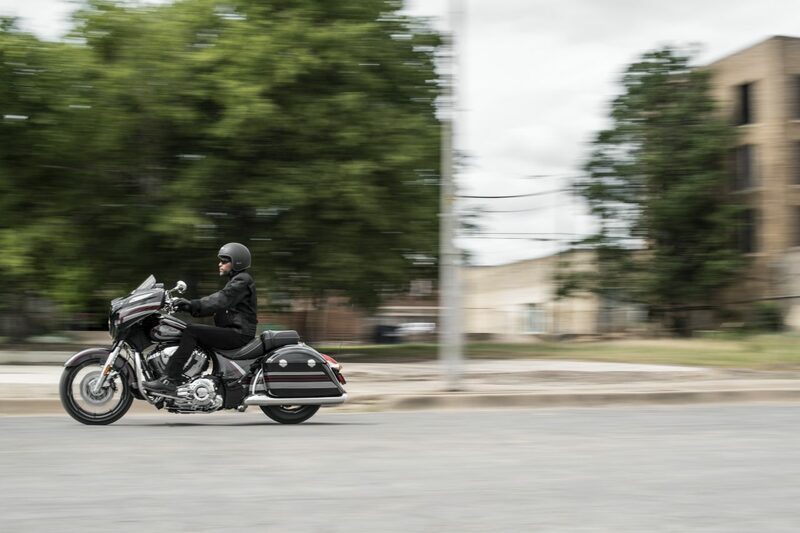 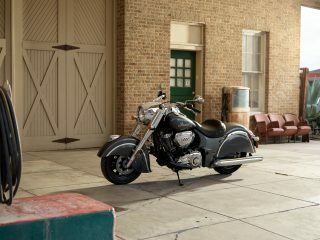 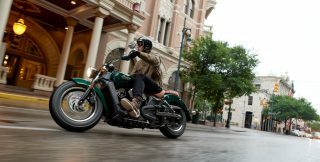 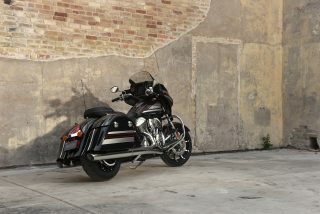 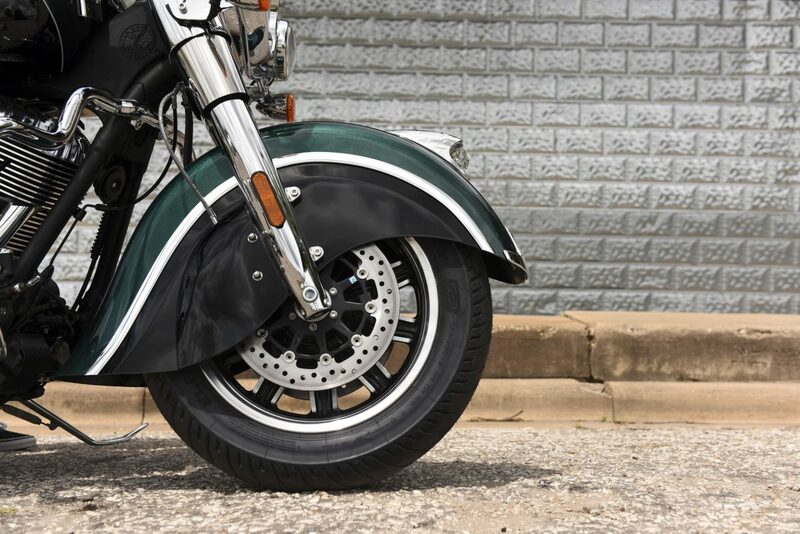 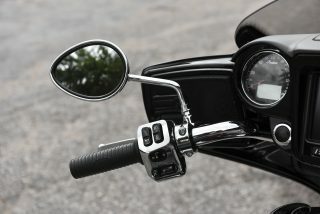 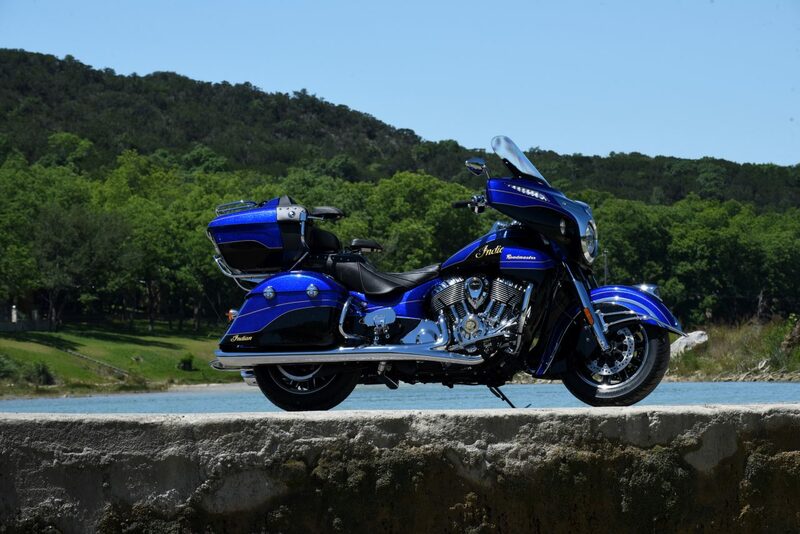 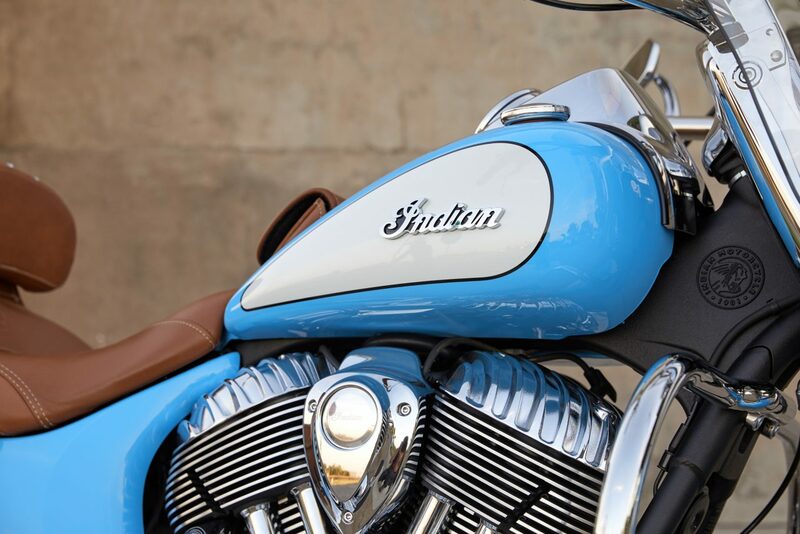 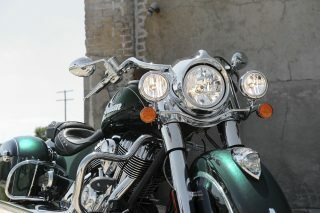 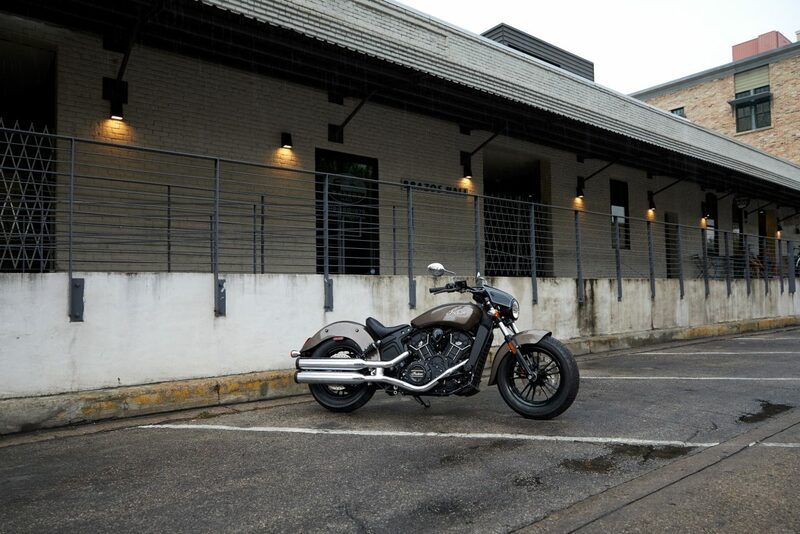 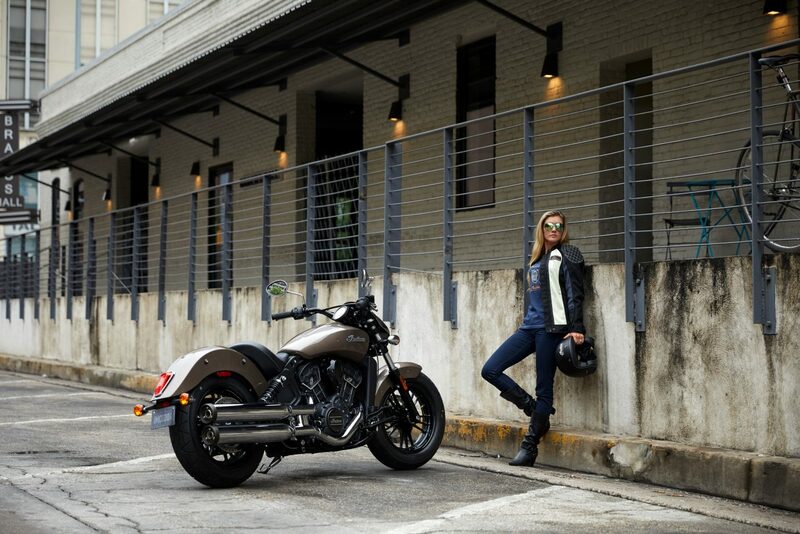 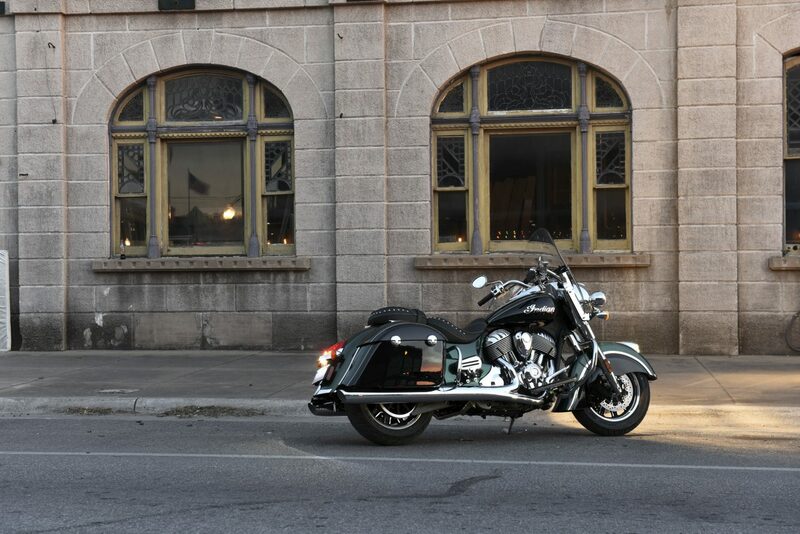 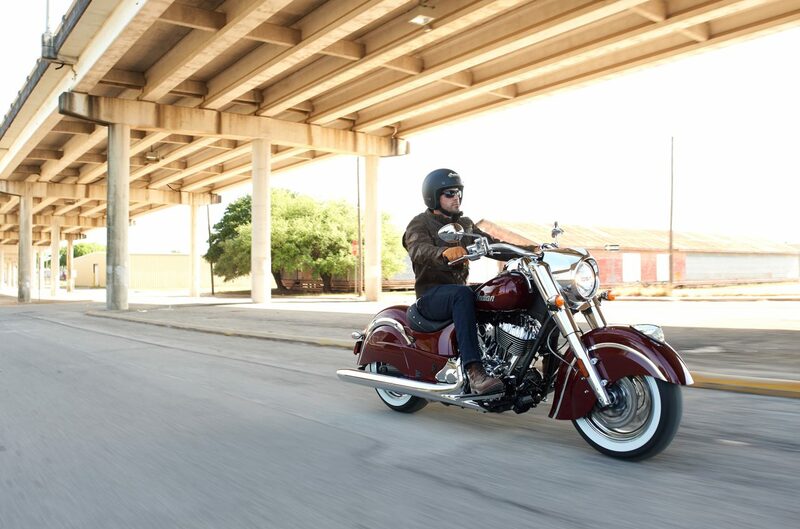 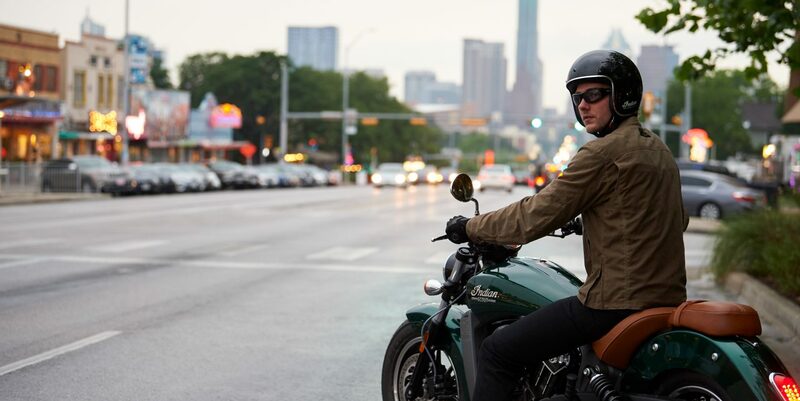 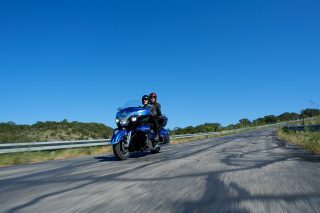 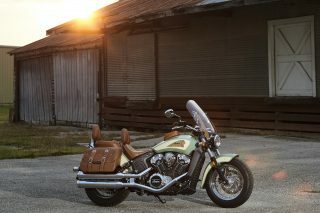 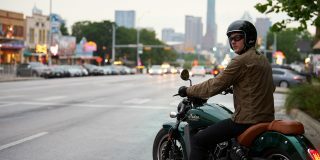 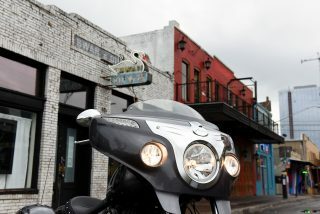 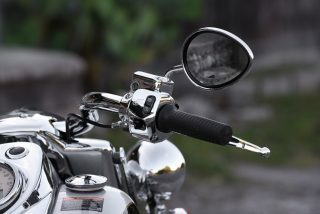 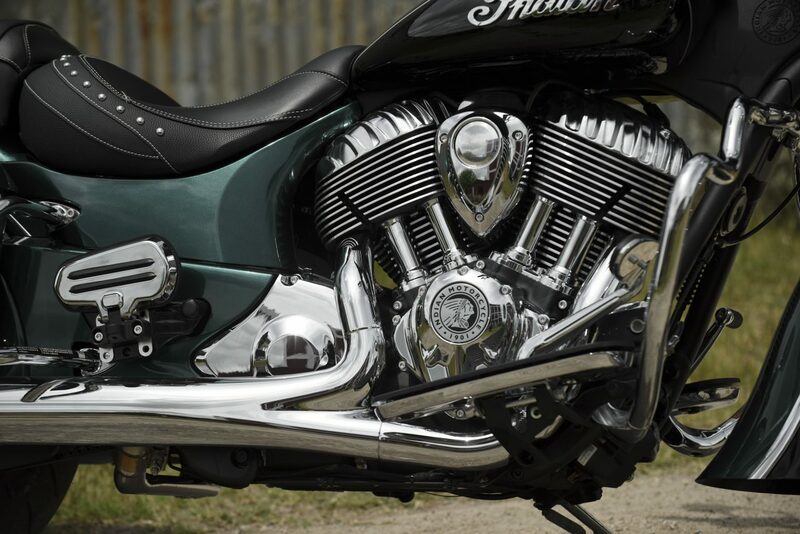 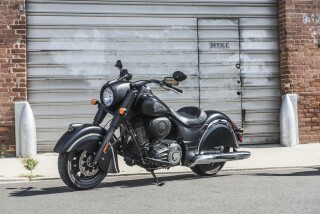 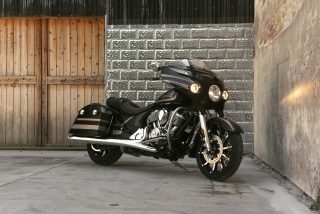 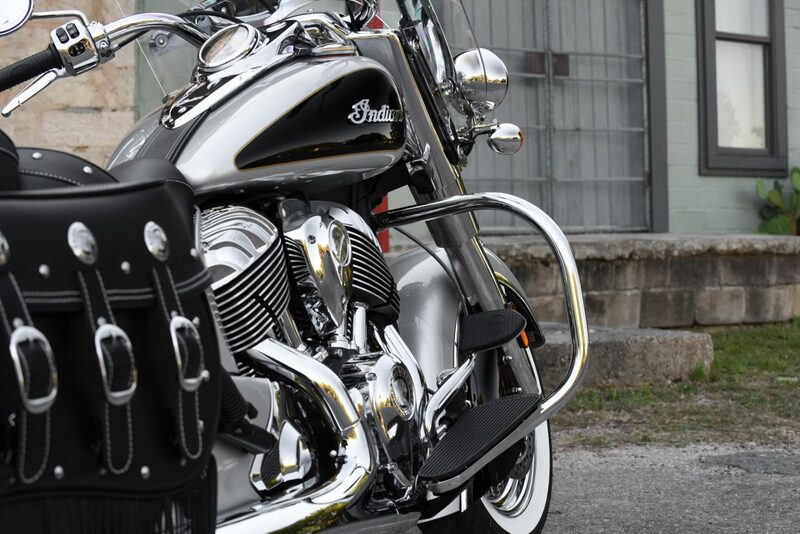 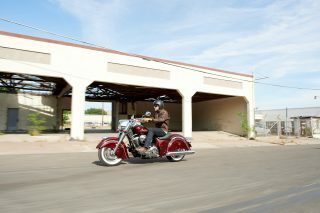 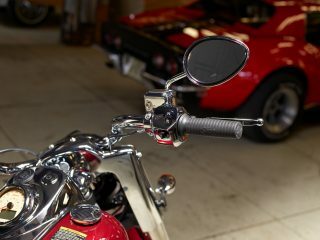 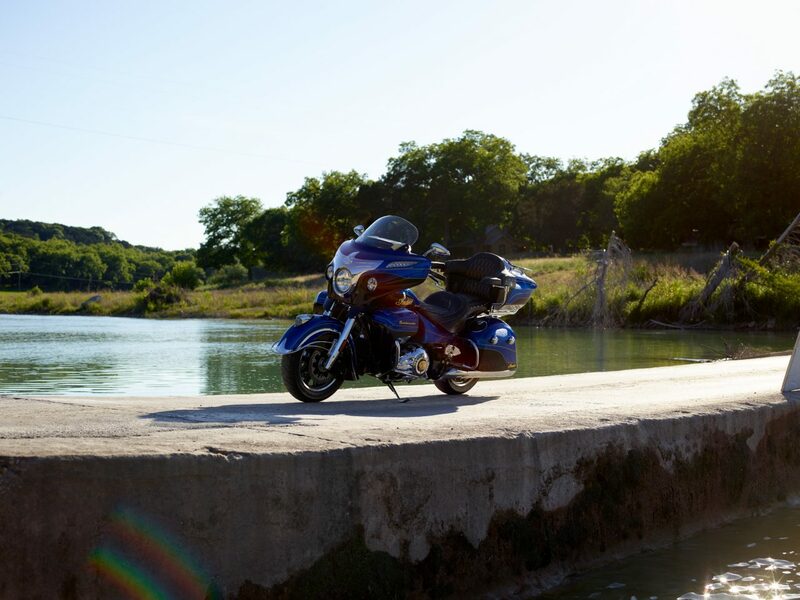 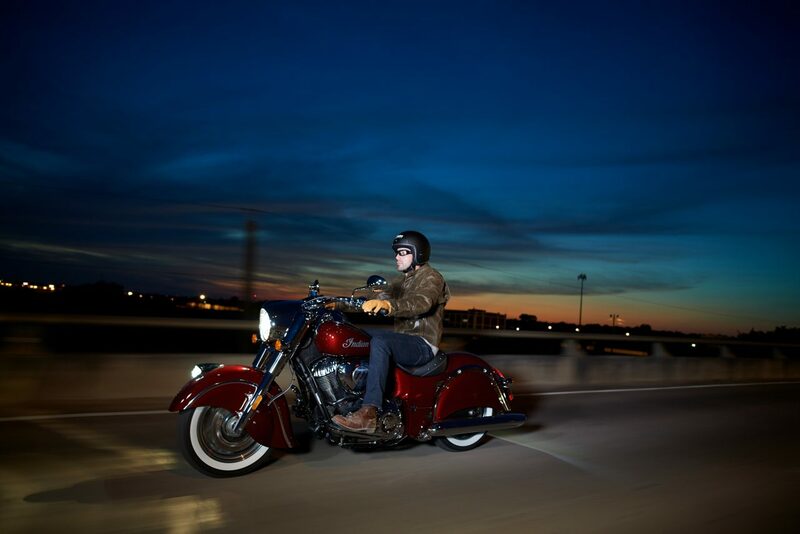 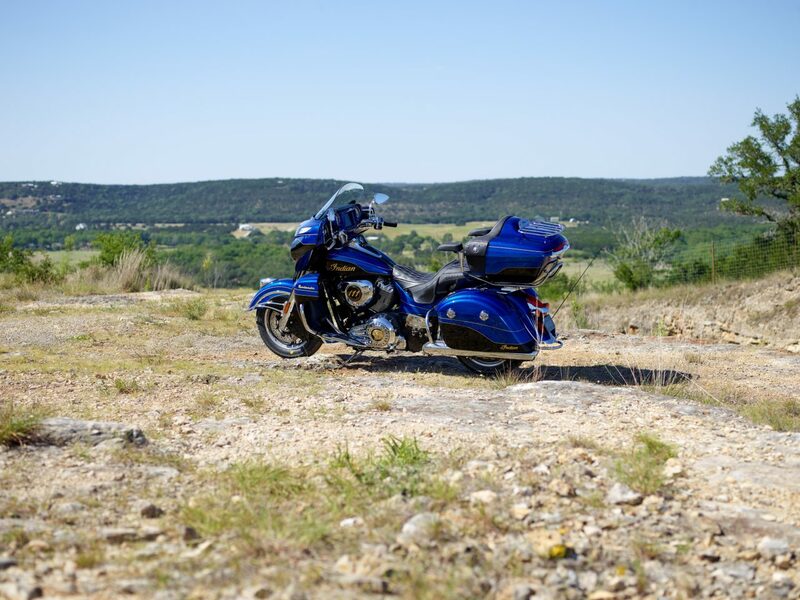 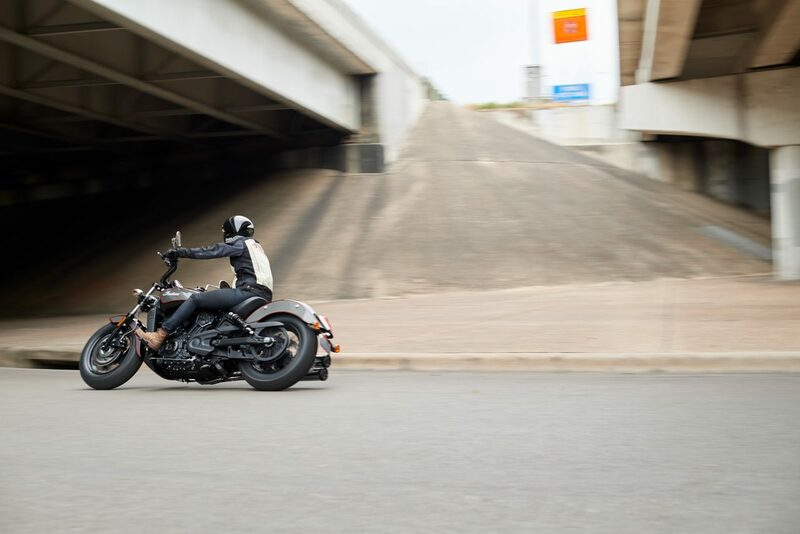 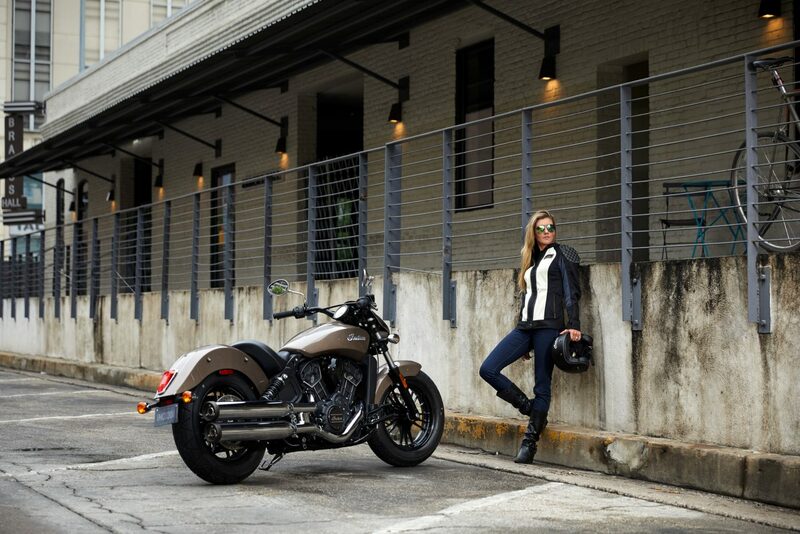 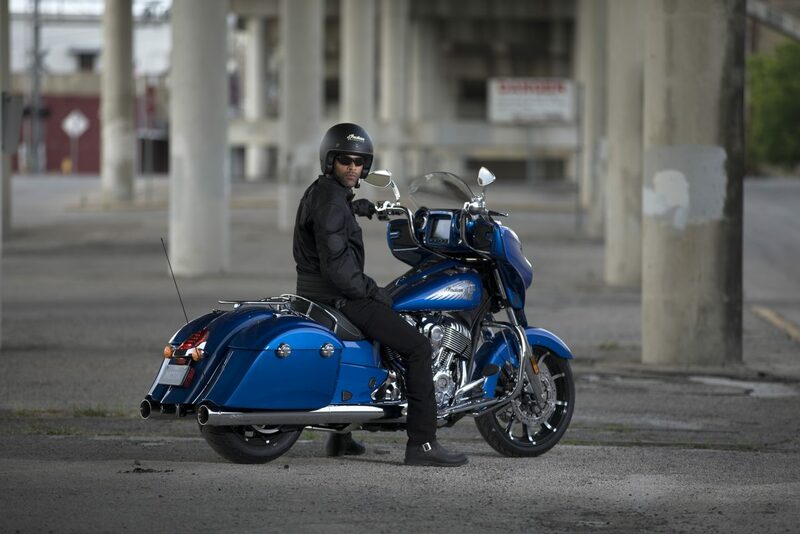 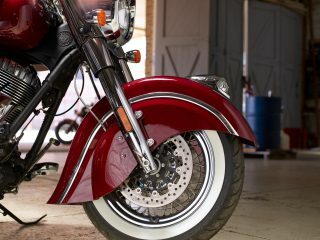 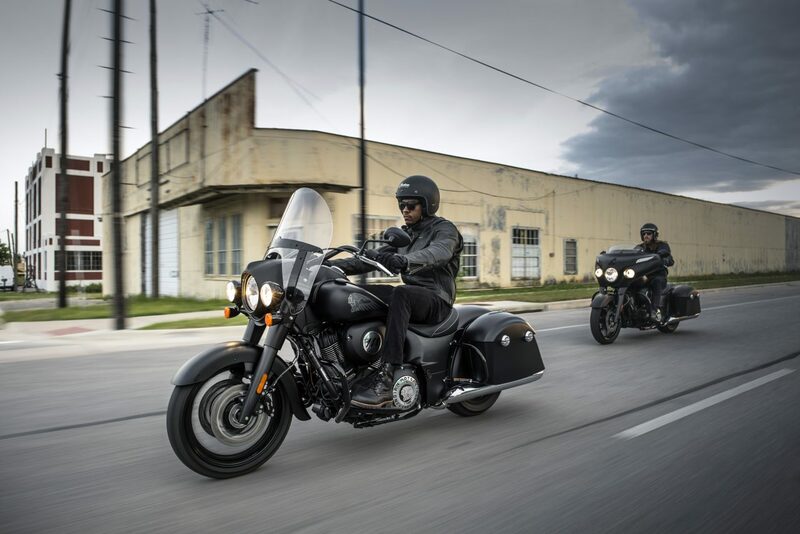 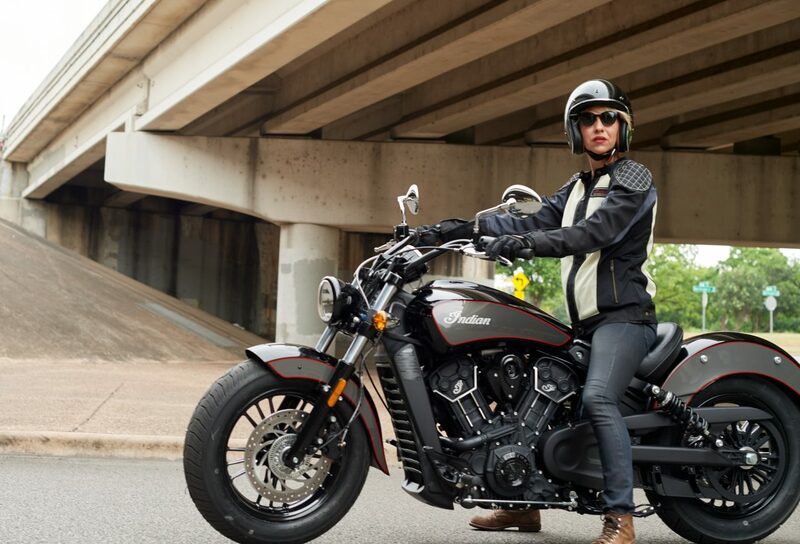 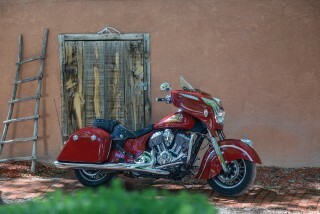 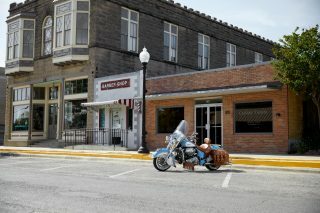 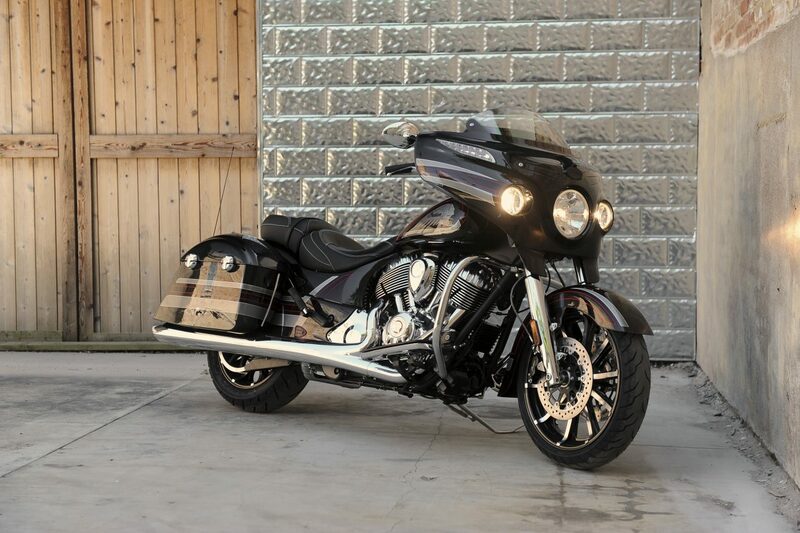 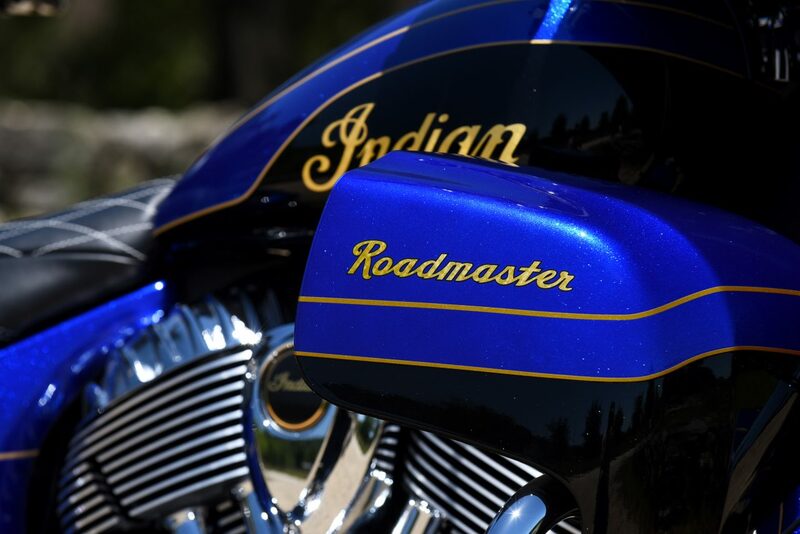 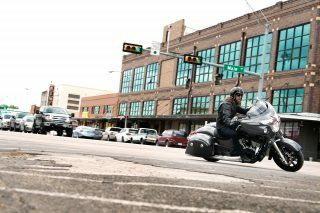 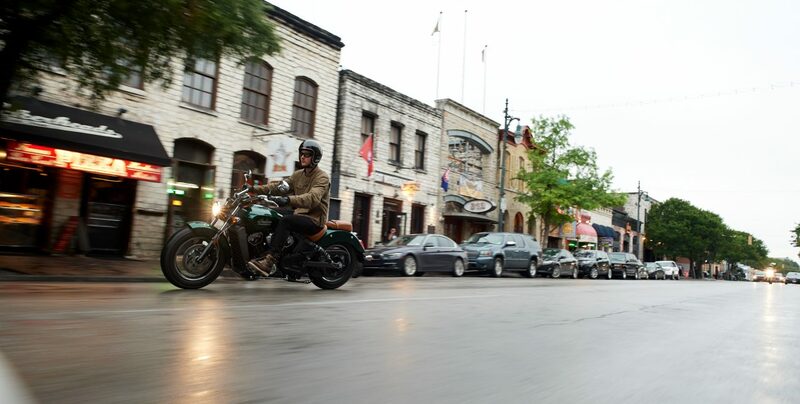 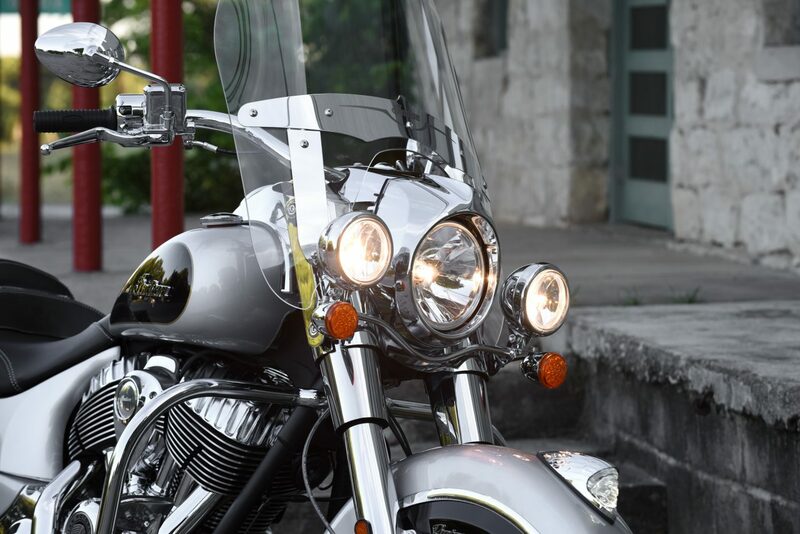 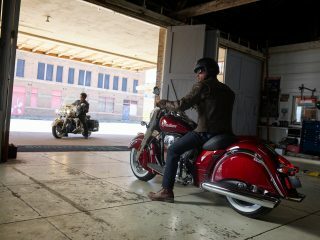 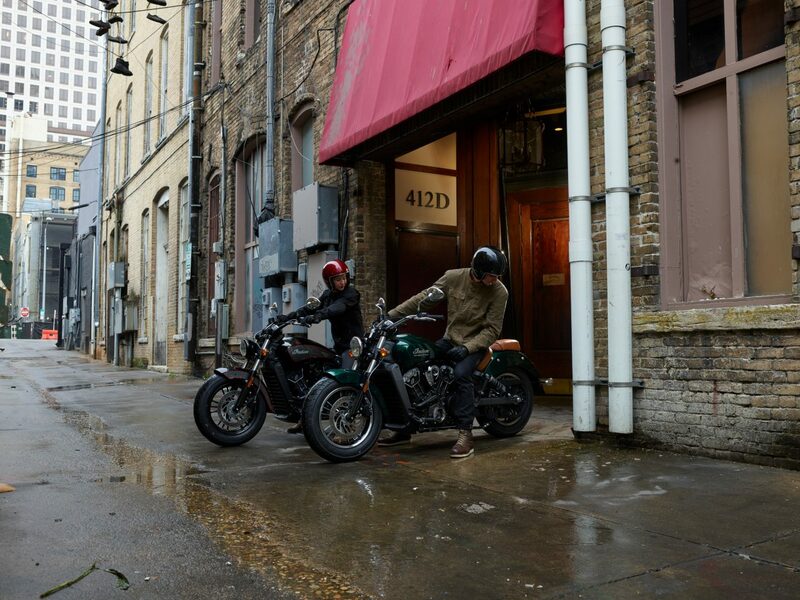 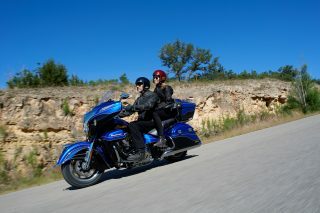 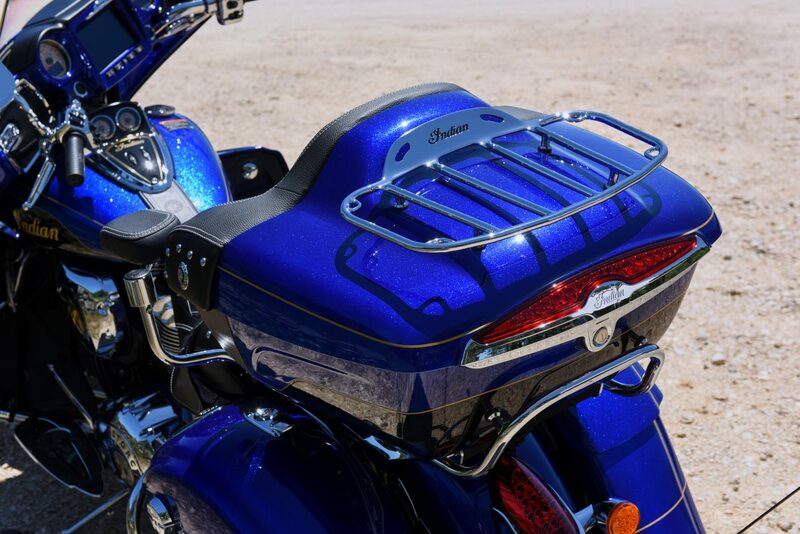 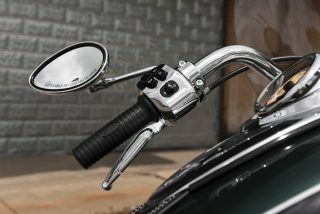 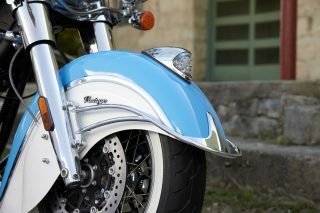 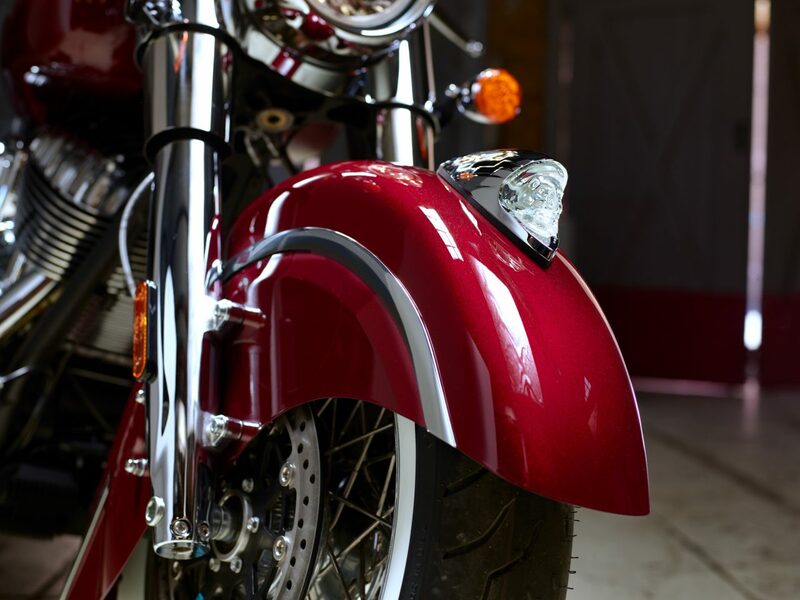 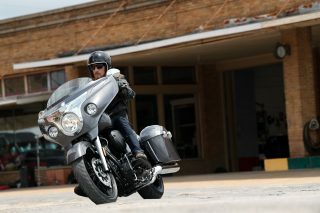 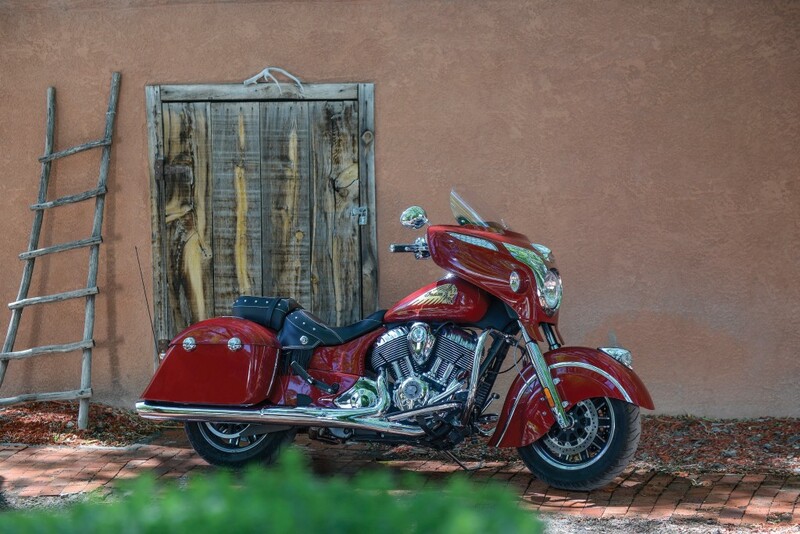 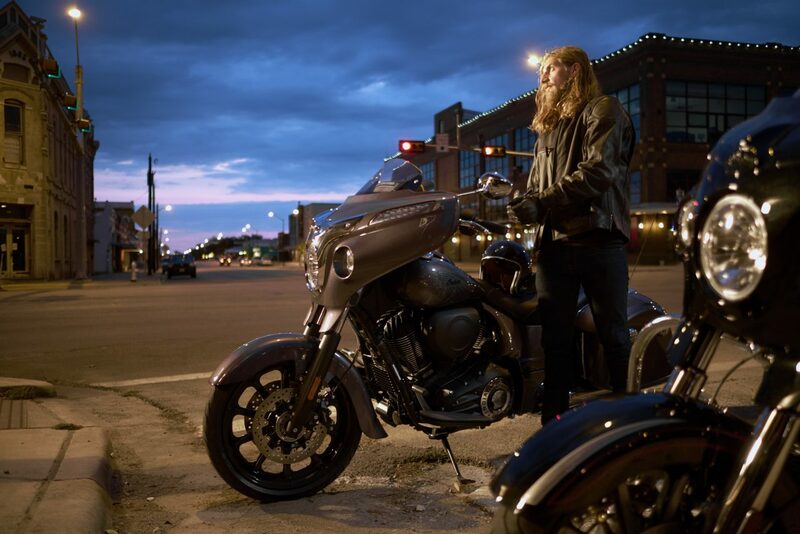 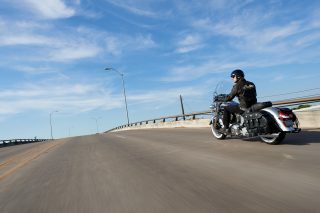 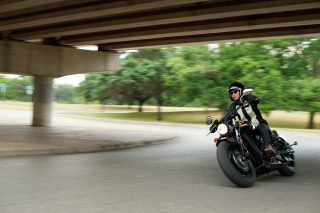 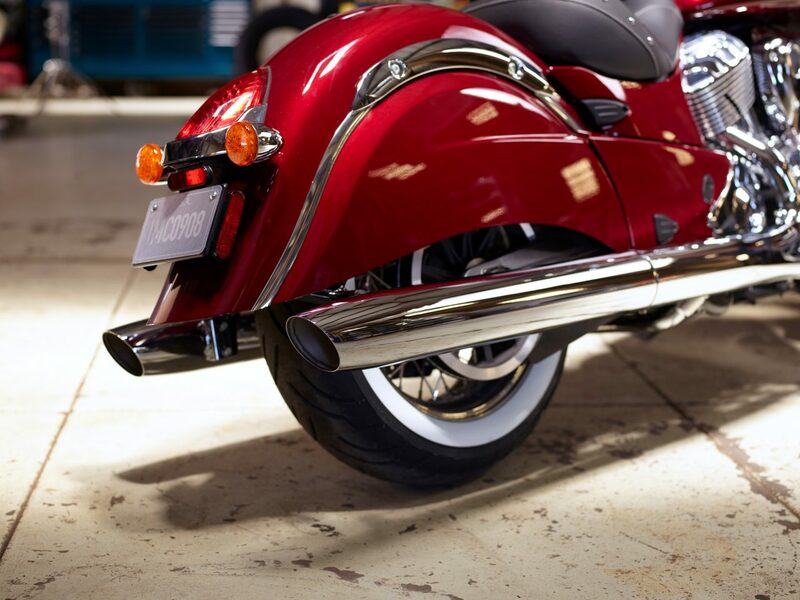 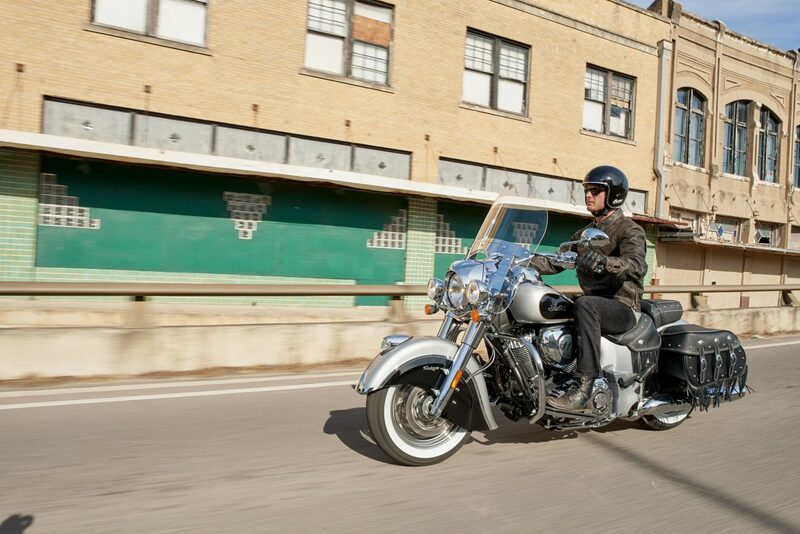 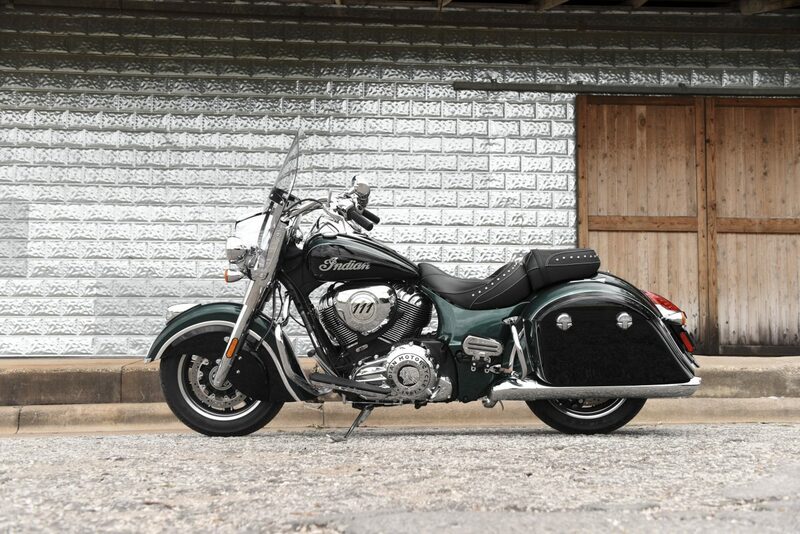 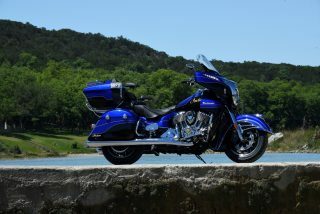 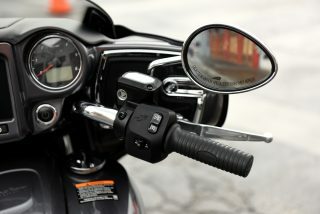 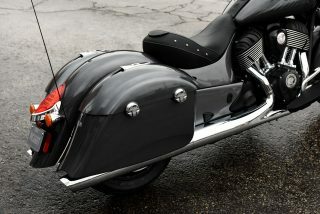 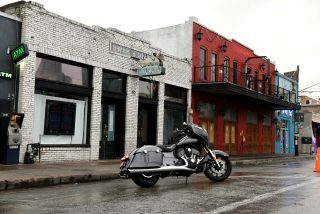 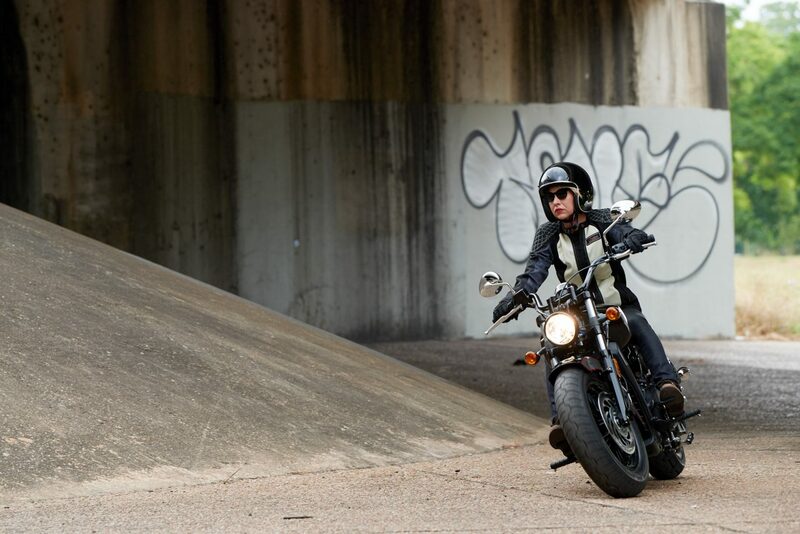 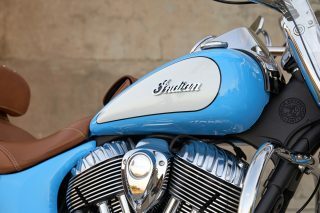 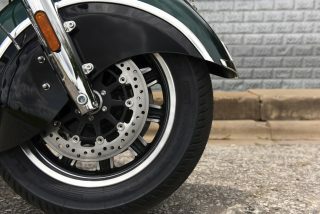 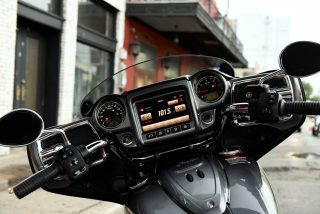 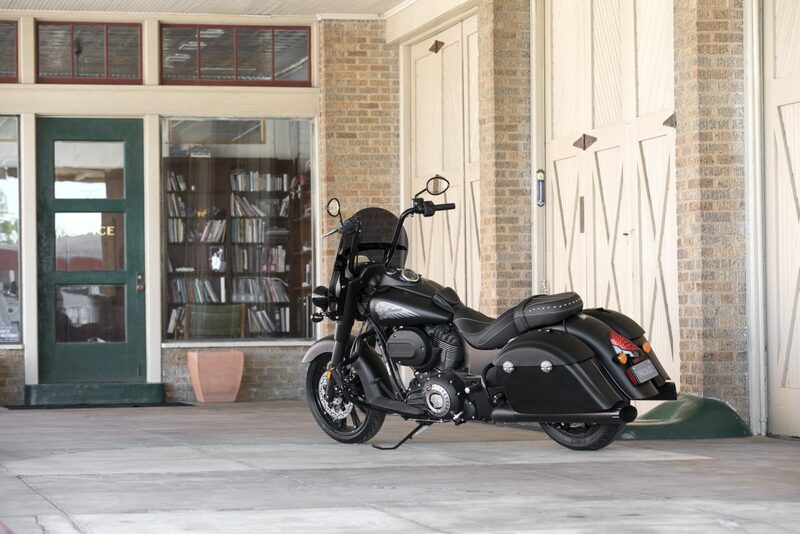 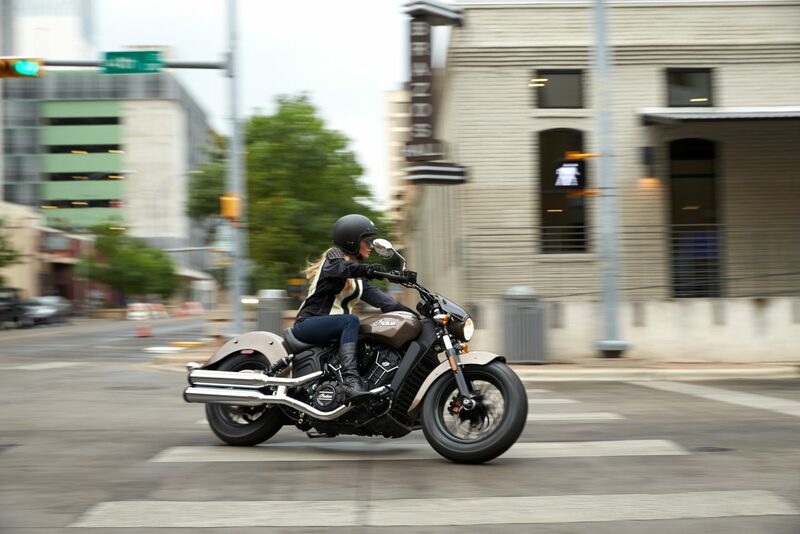 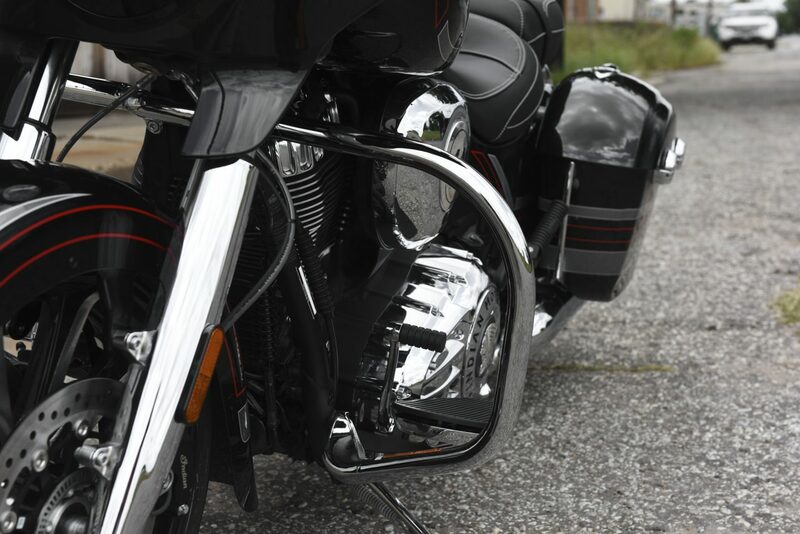 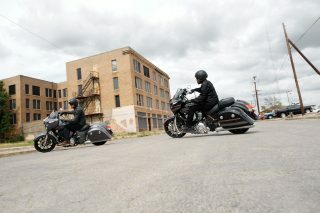 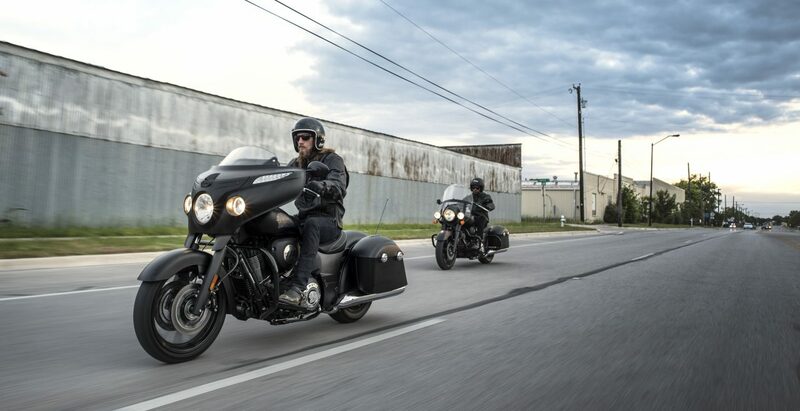 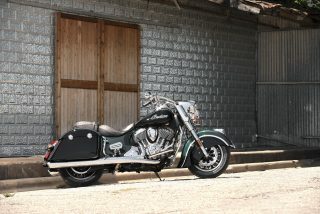 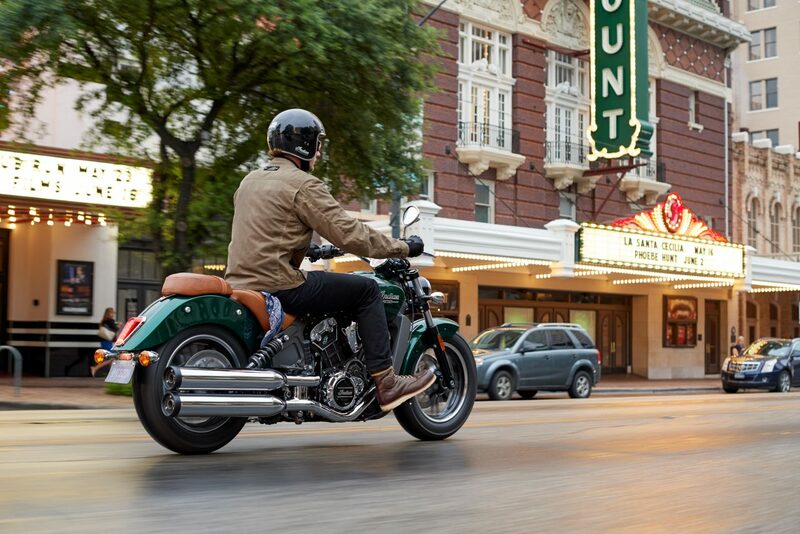 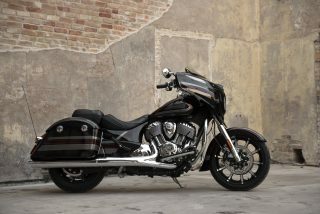 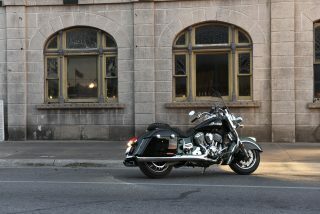 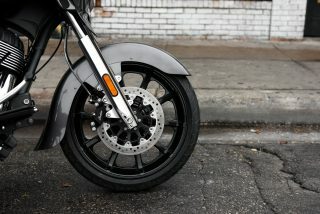 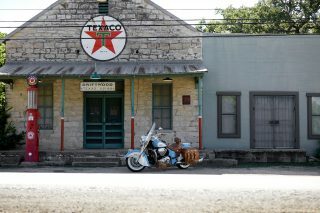 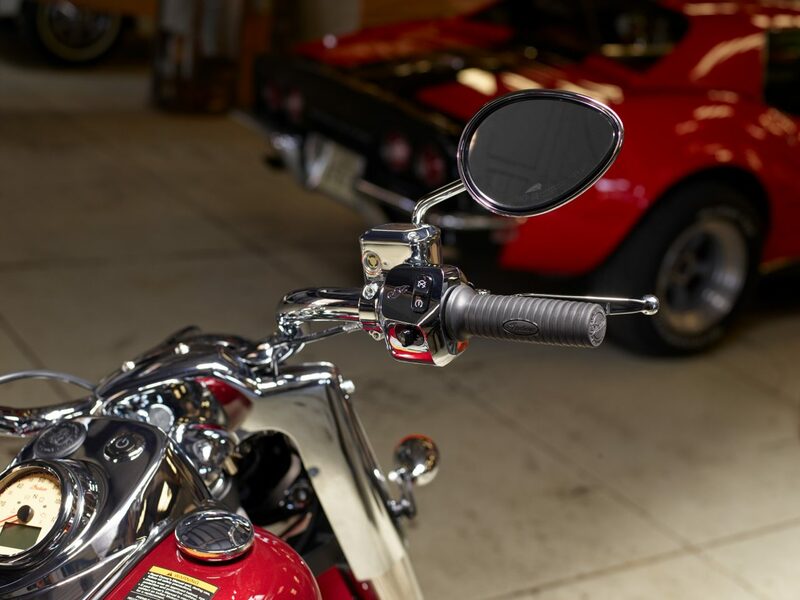 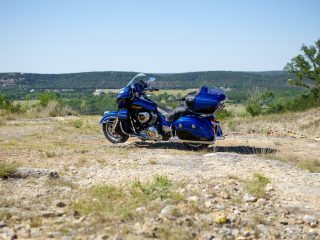 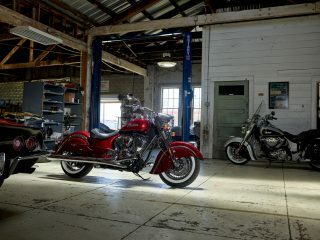 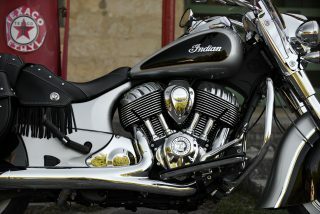 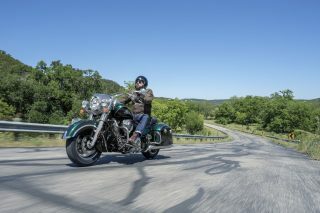 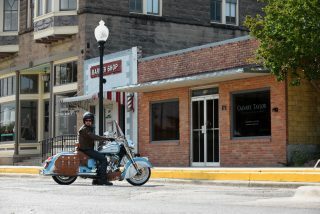 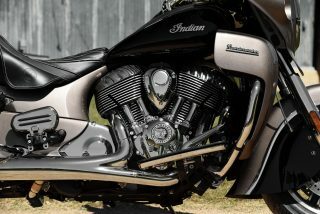 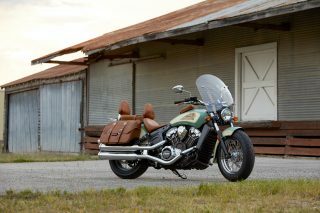 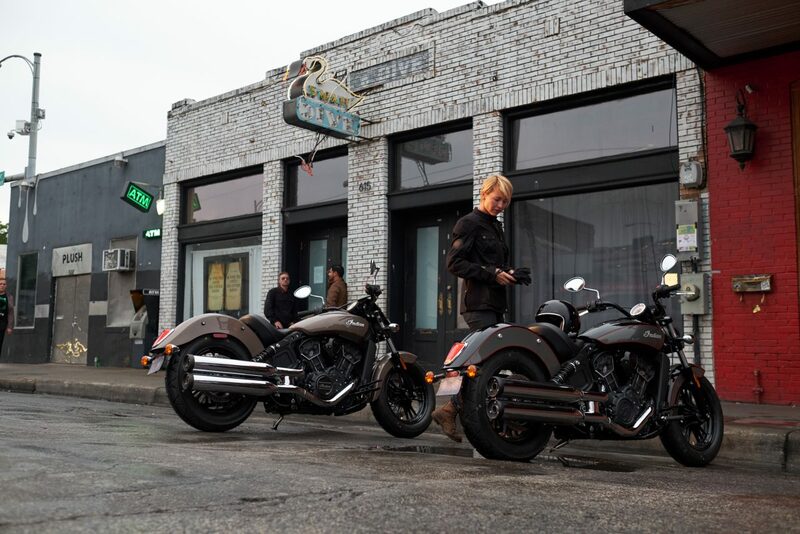 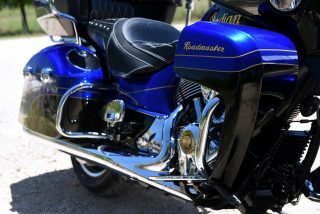 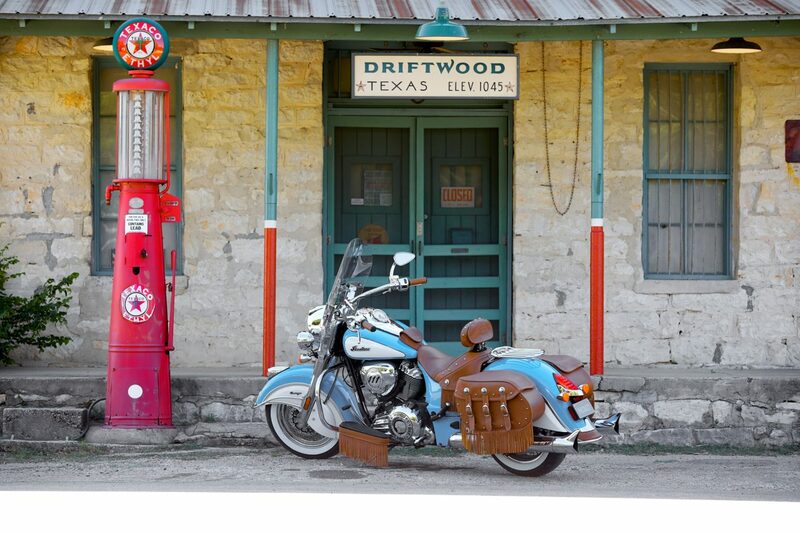 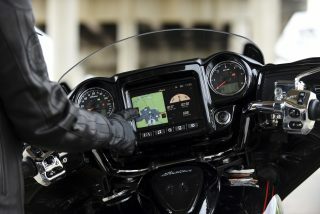 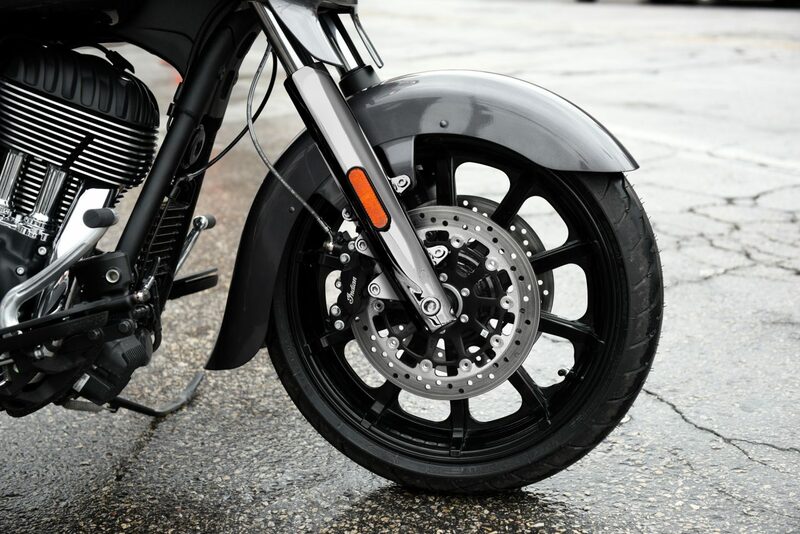 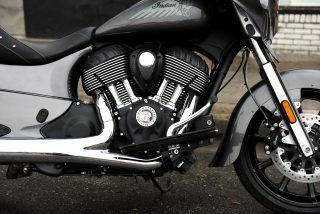 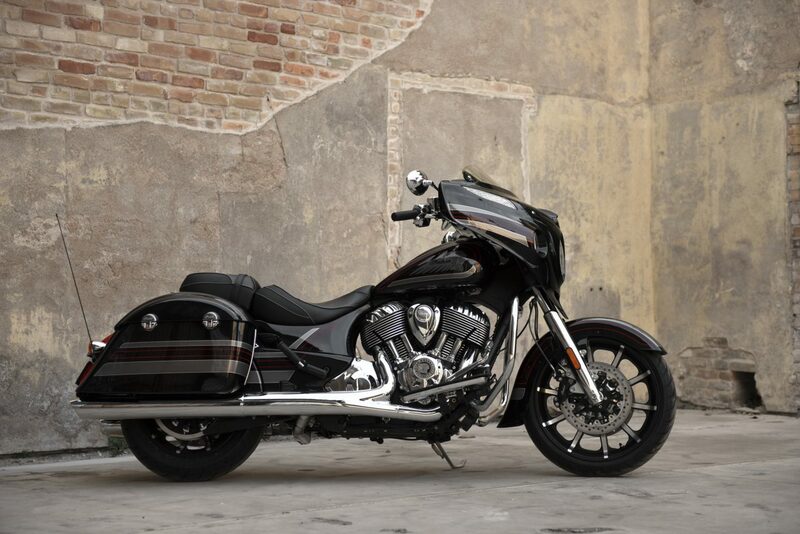 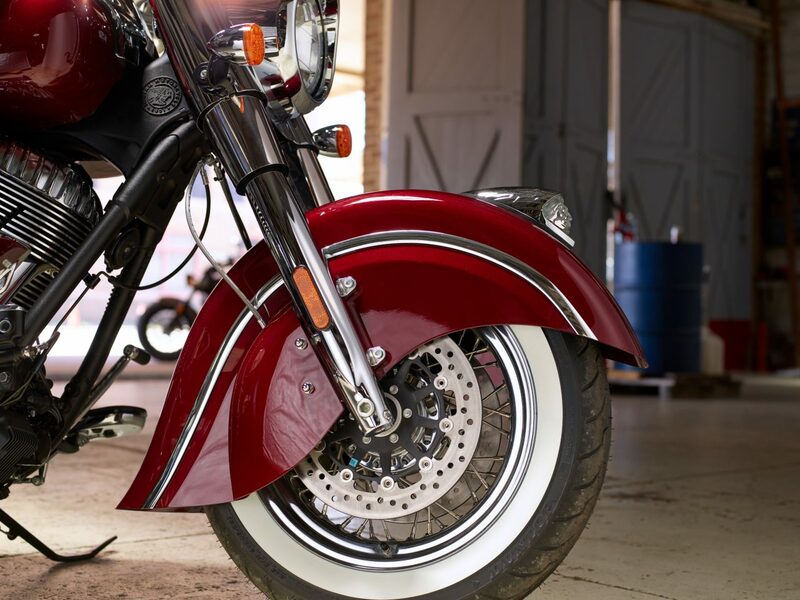 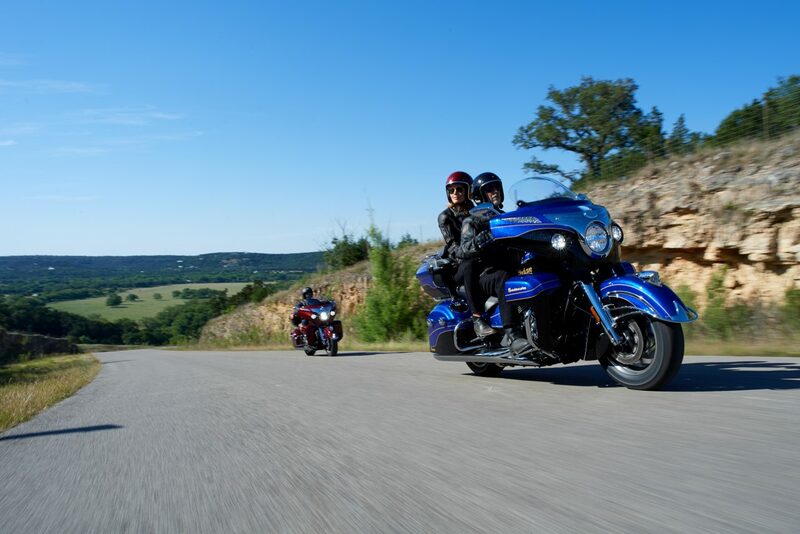 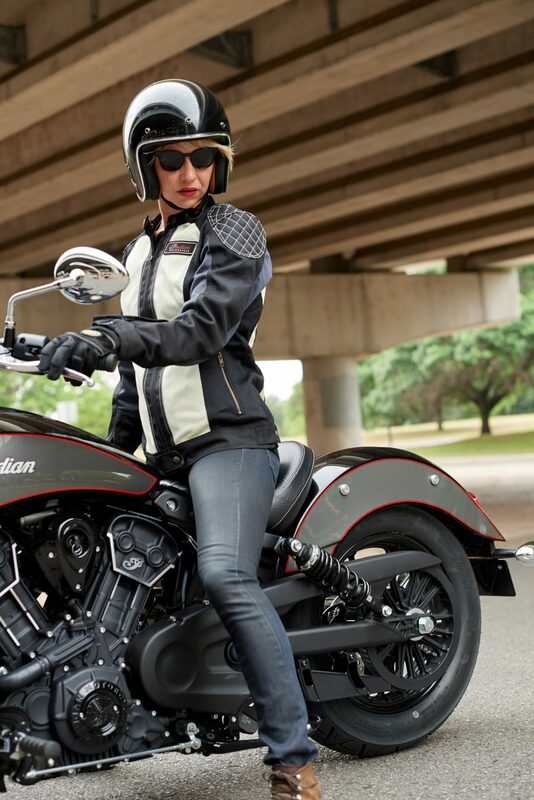 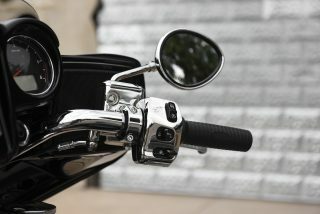 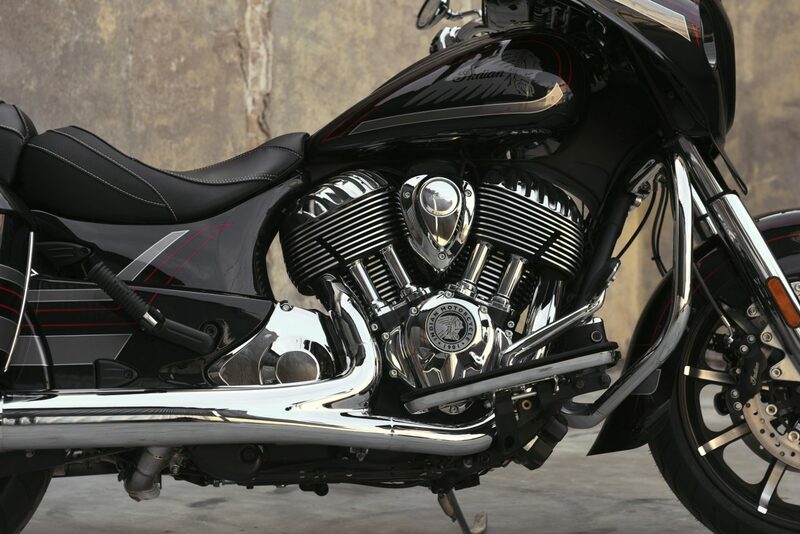 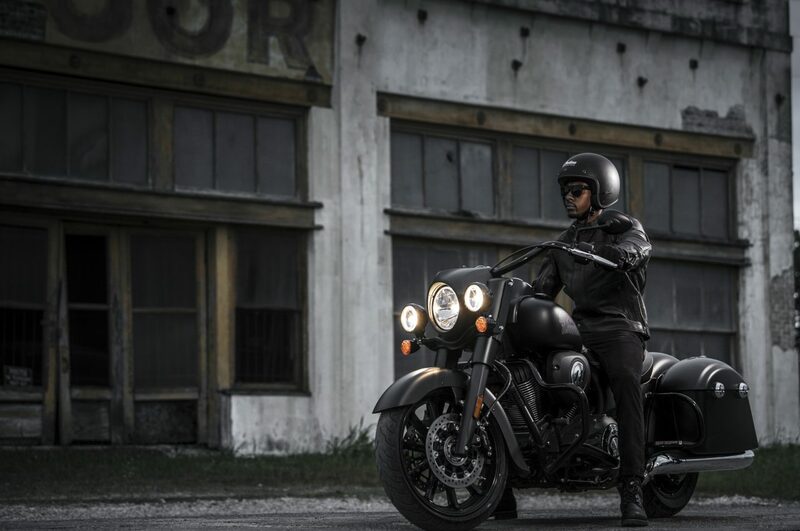 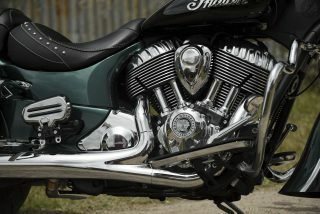 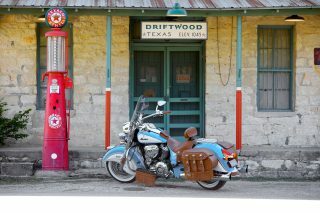 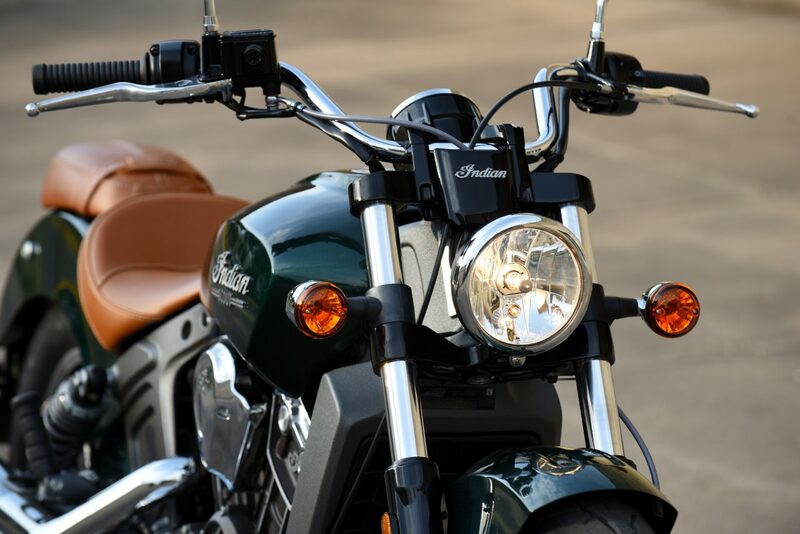 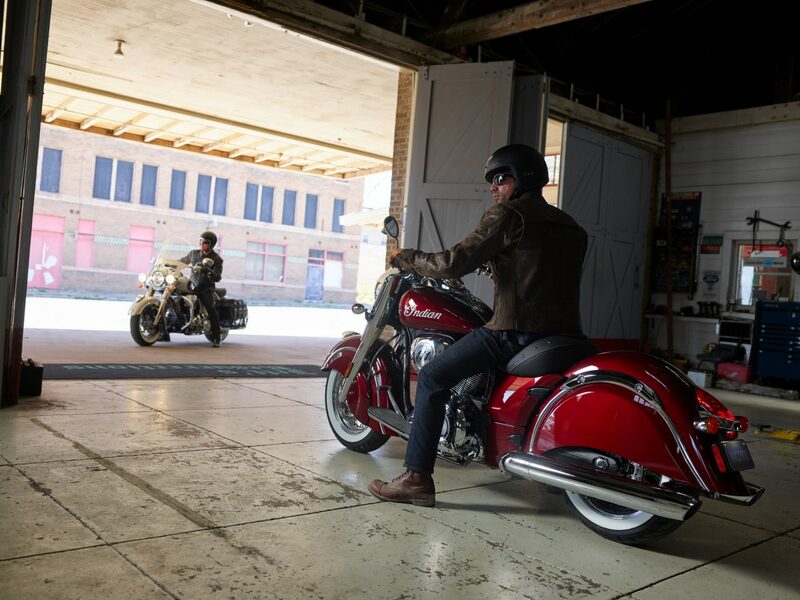 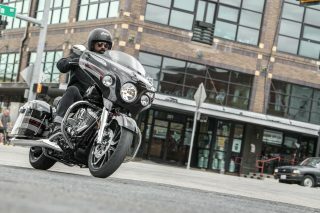 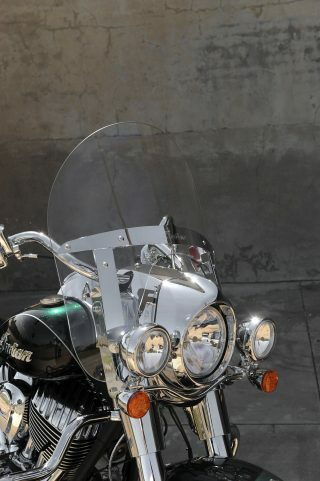 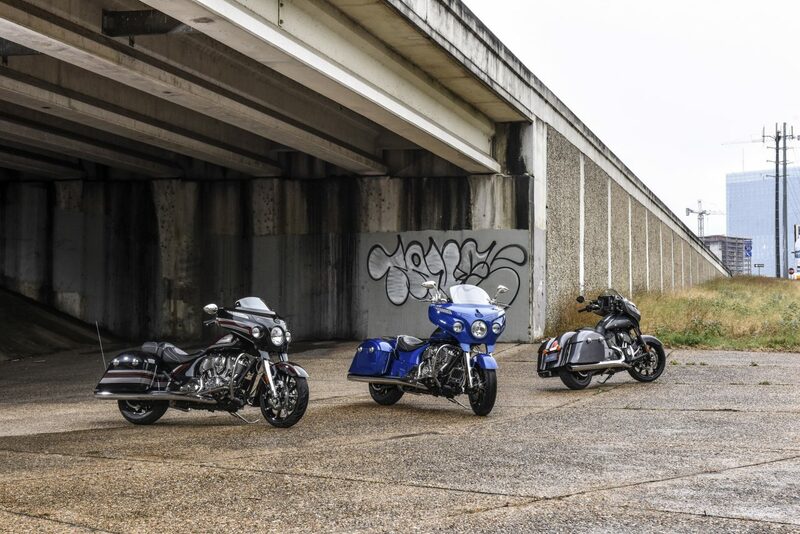 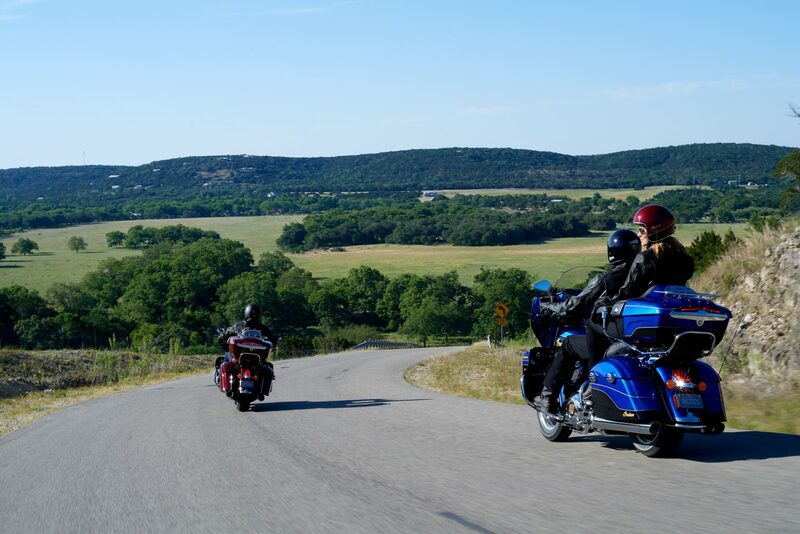 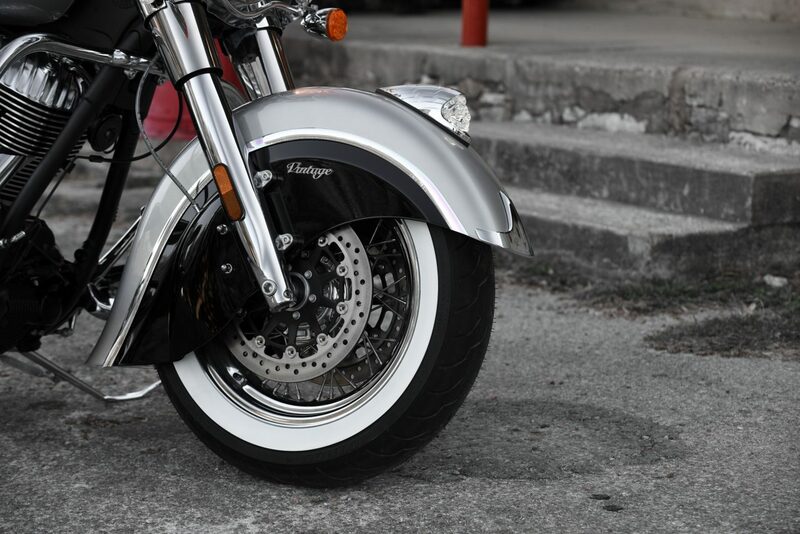 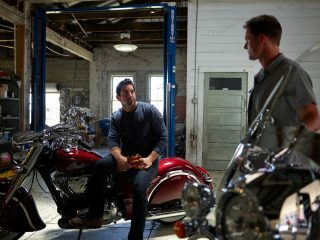 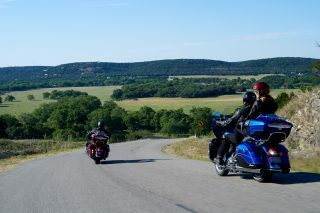 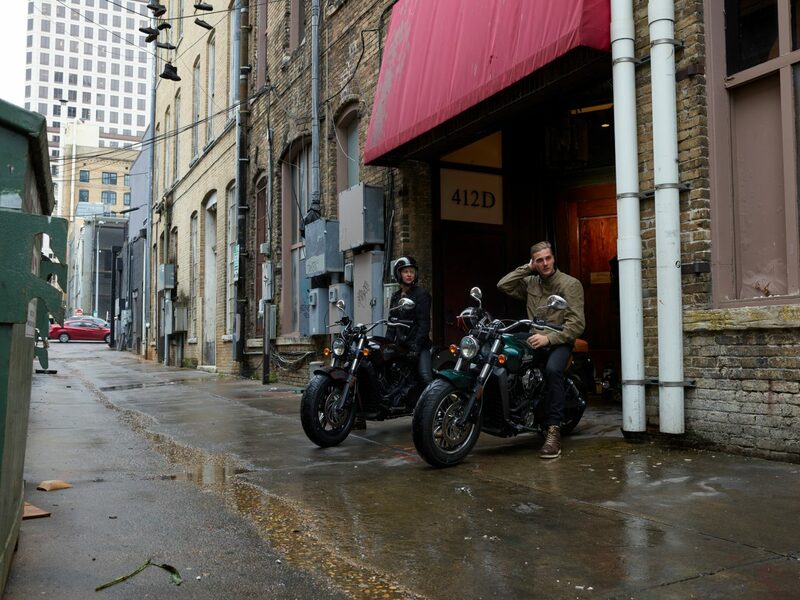 Reid Wilson, Marketing Director for Indian Motorcycle adds: “The Roadmaster Elite and Springfield Dark Horse are two fantastic motorcycles, with two different attitudes. 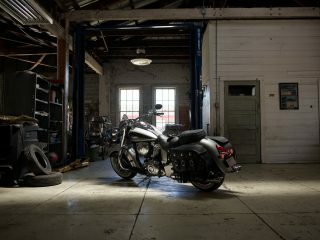 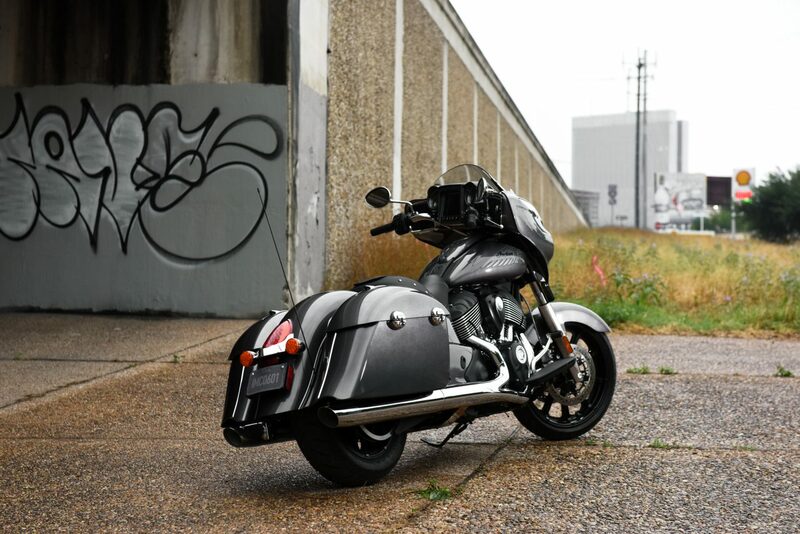 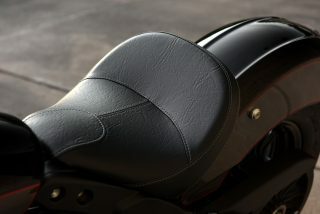 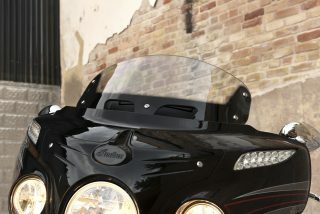 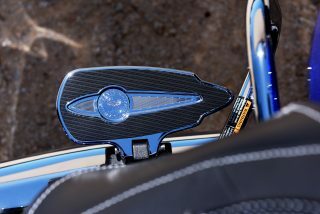 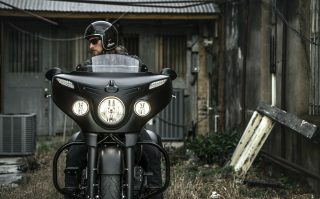 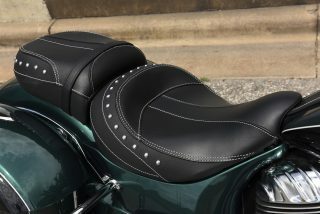 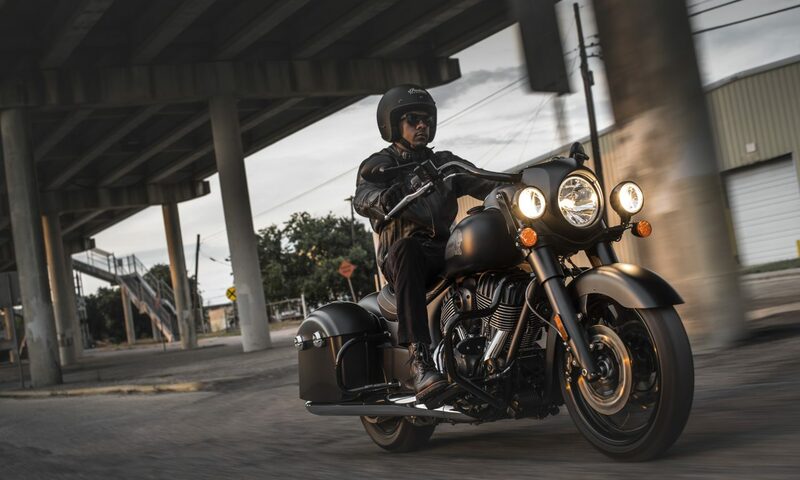 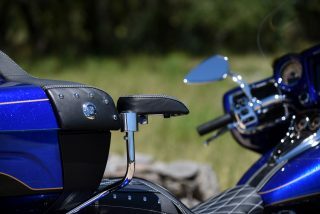 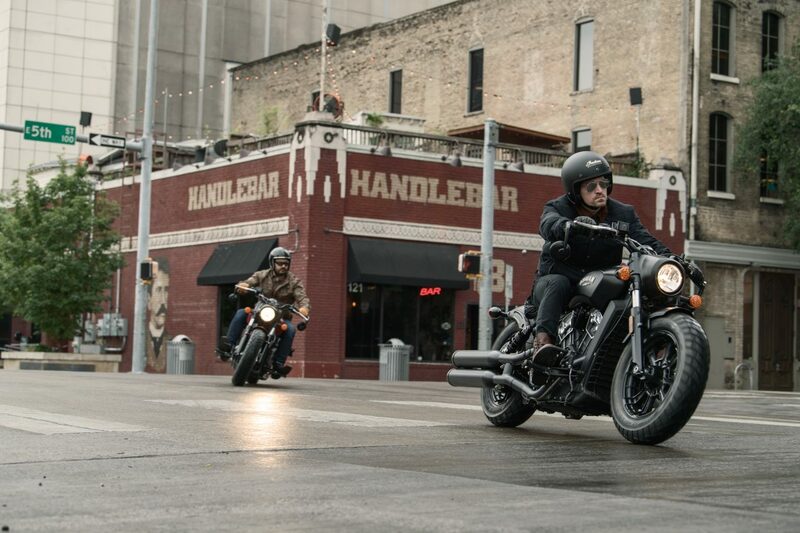 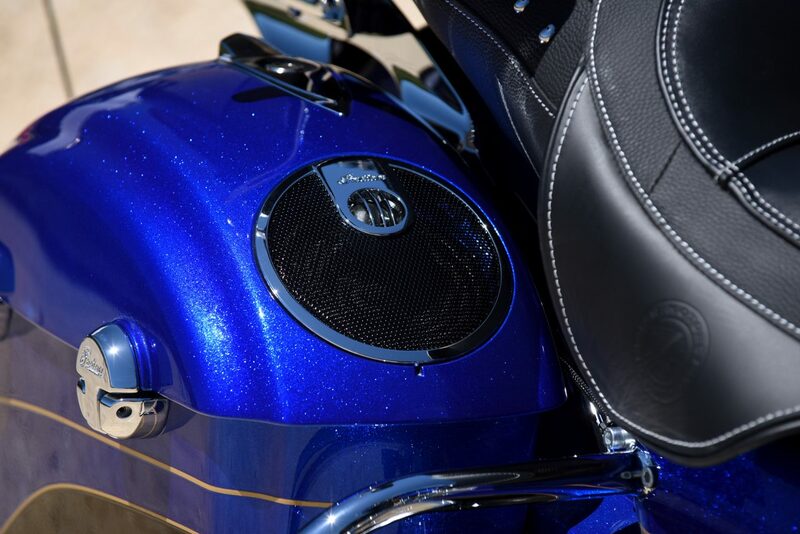 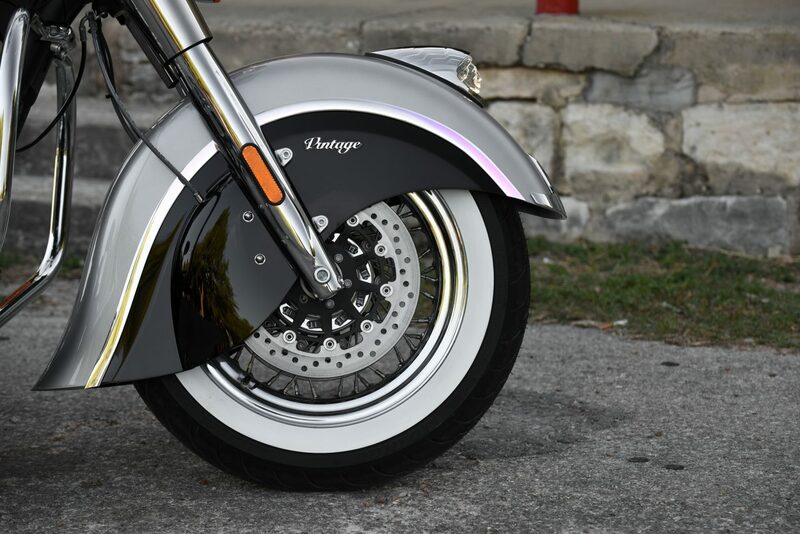 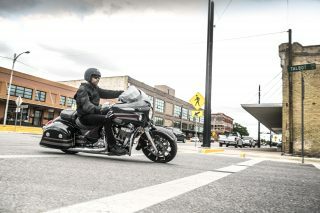 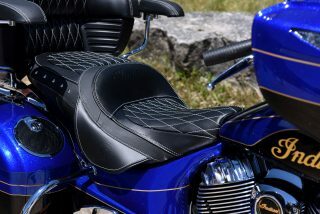 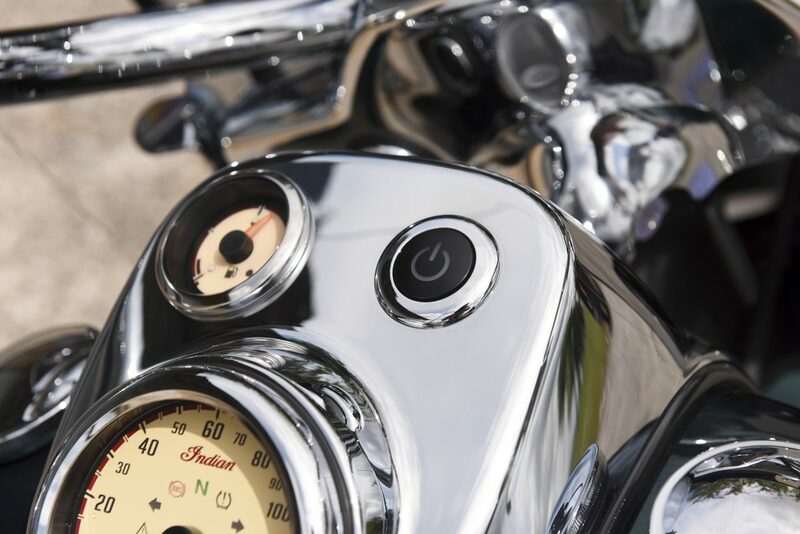 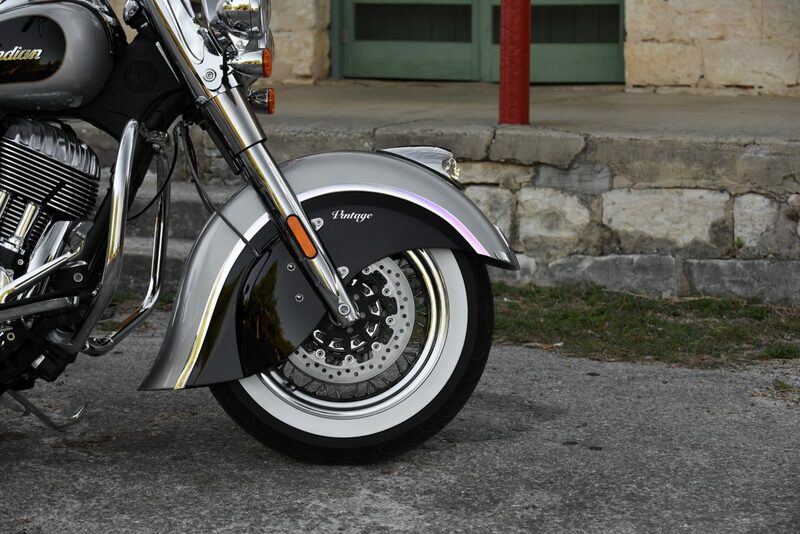 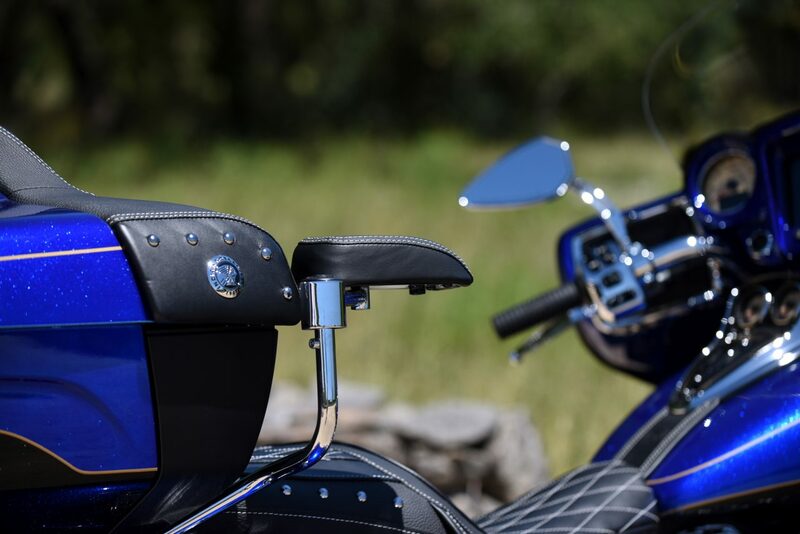 The Roadmaster Elite packs all the bells and whistles perfect for riders looking for the best of the best, while the Dark Horse brings blacked-out style to the Springfield line. 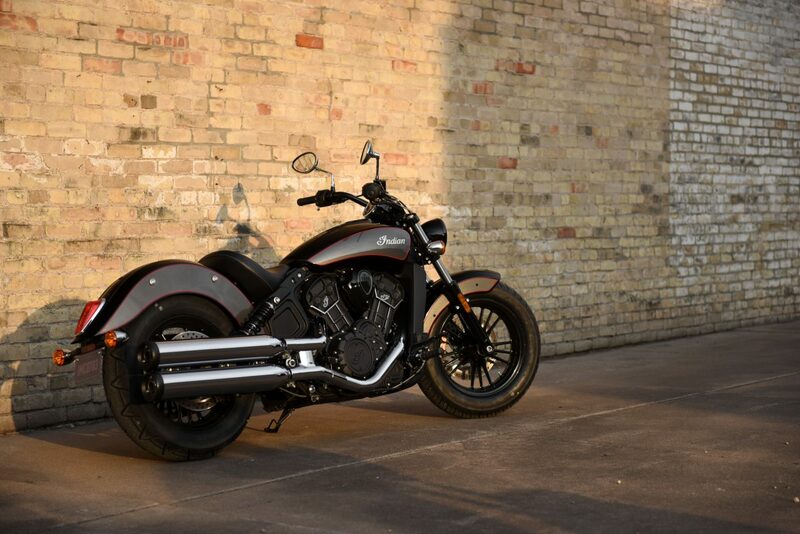 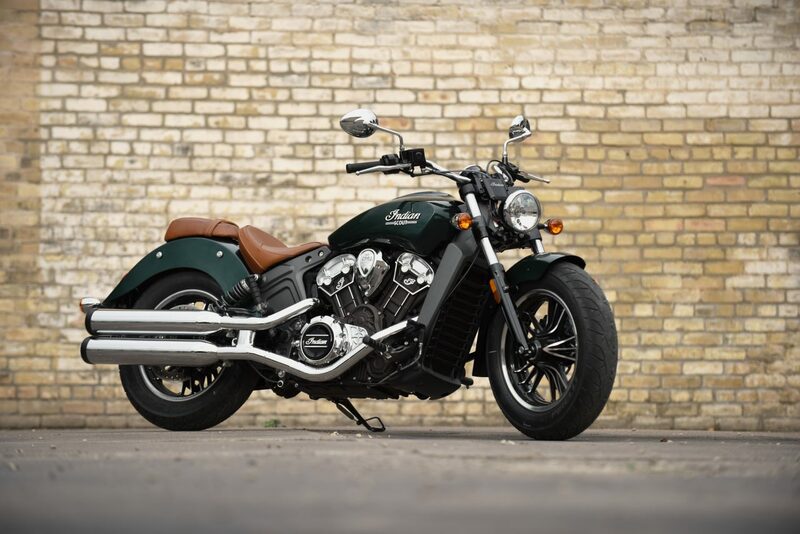 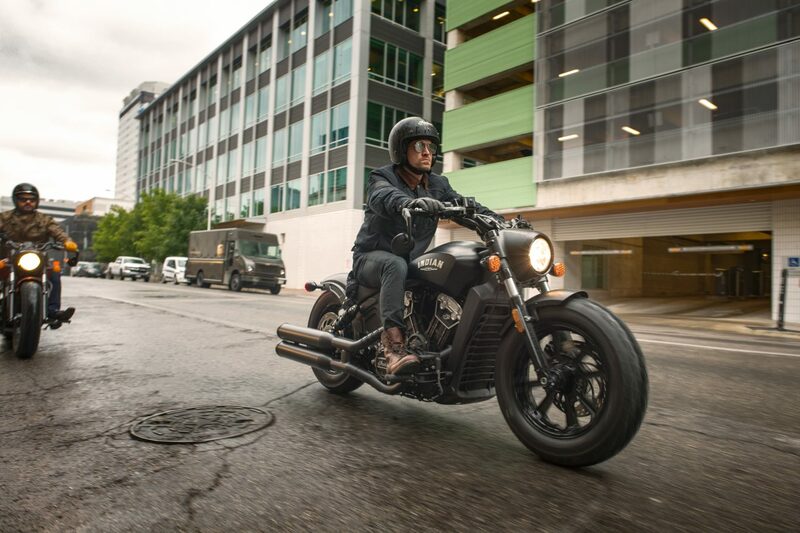 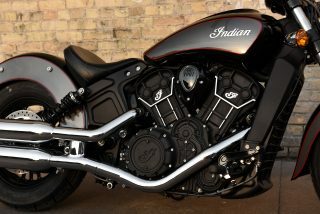 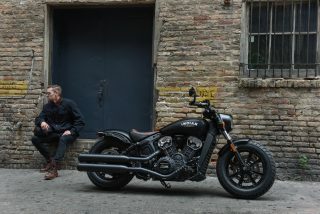 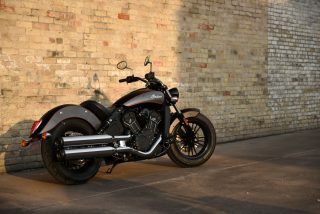 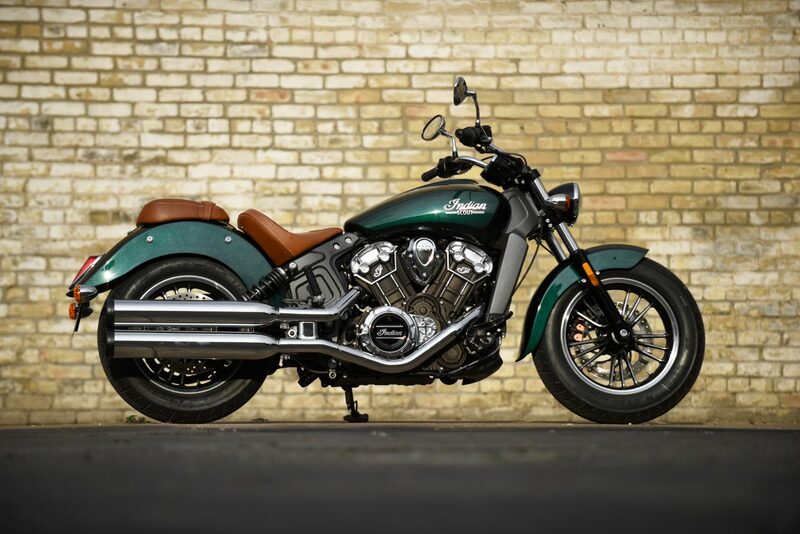 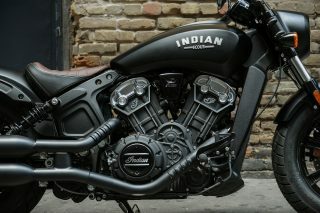 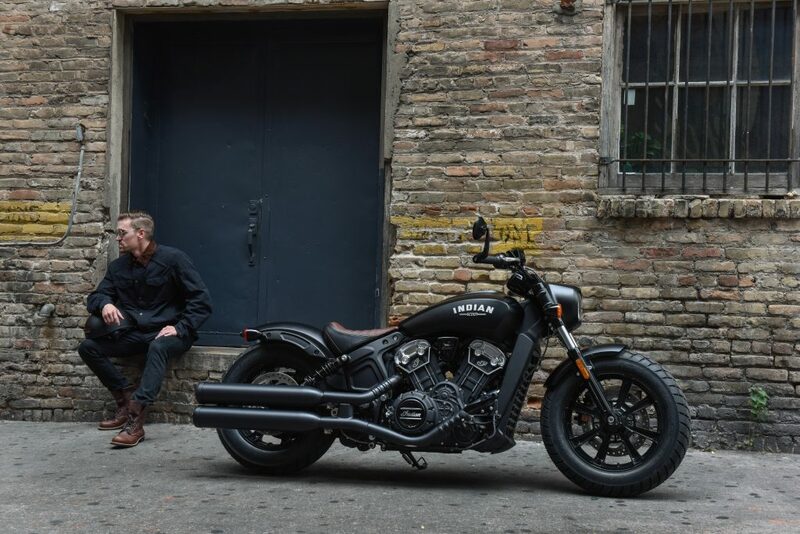 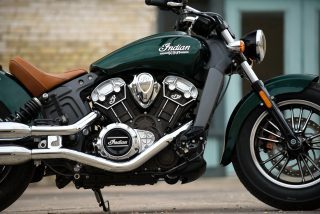 Indian recently announced the addition of Scout Bobber and this machine will be in sale in dealerships internationally towards the end of 2017 in 5 colourways. 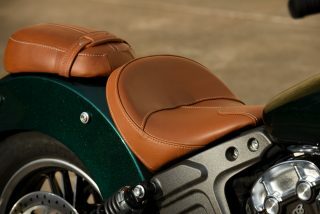 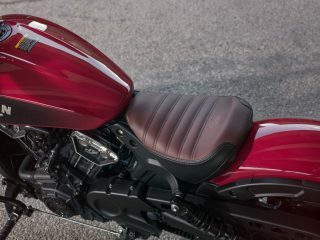 The Burgundy Metallic version of this bike now comes with a tan coloured seat while the other three versions all have black seats. 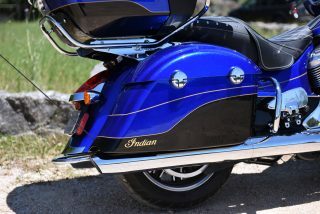 For 2018 there are two new two-tone colour schemes. 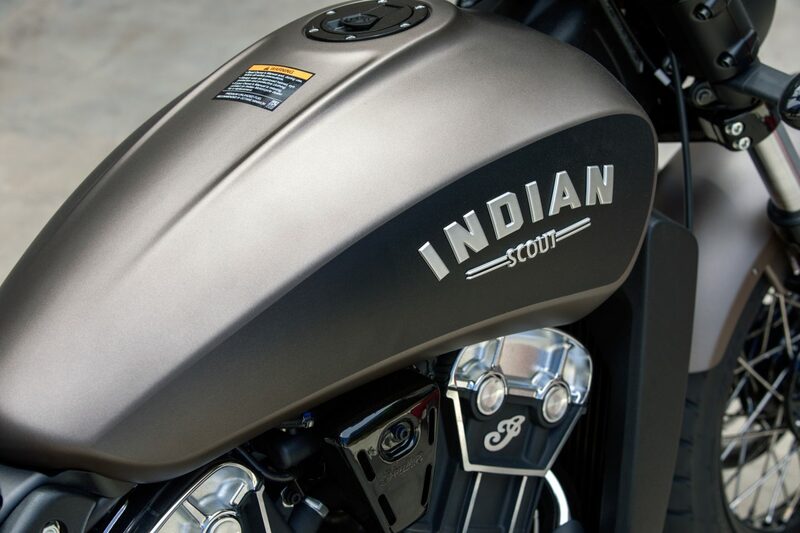 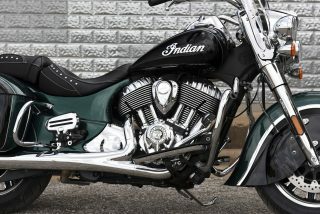 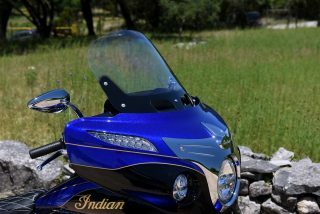 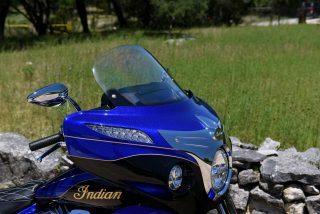 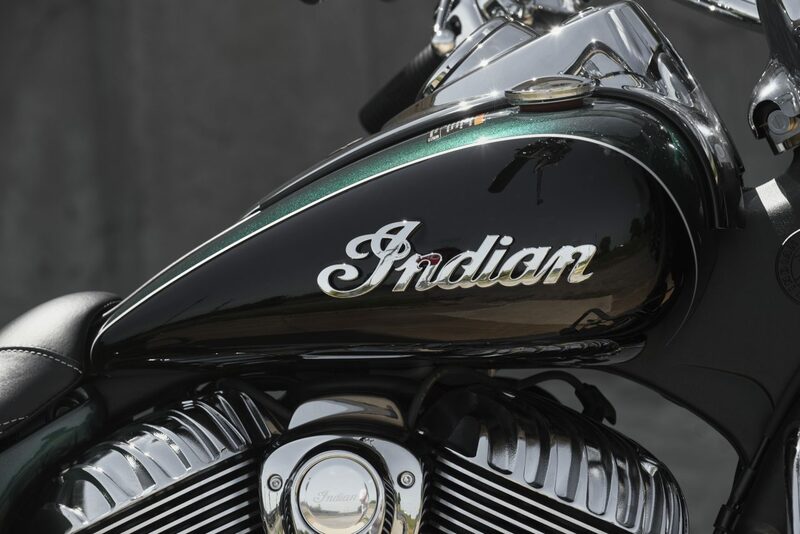 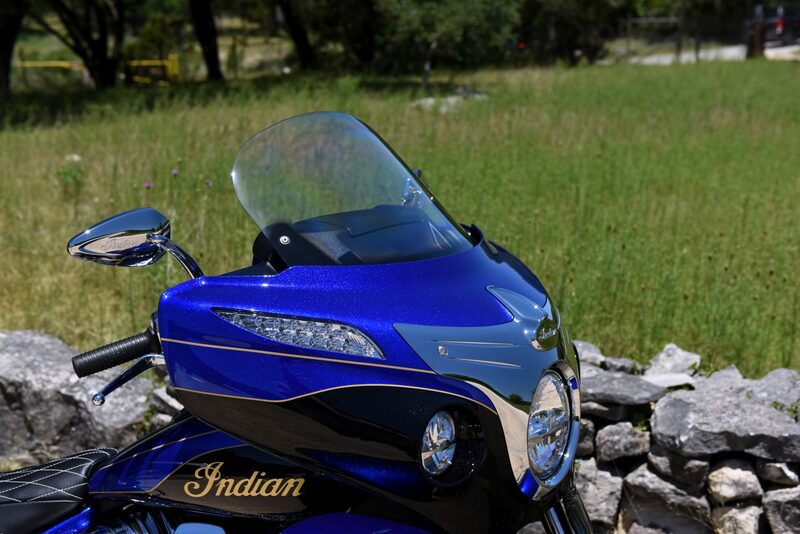 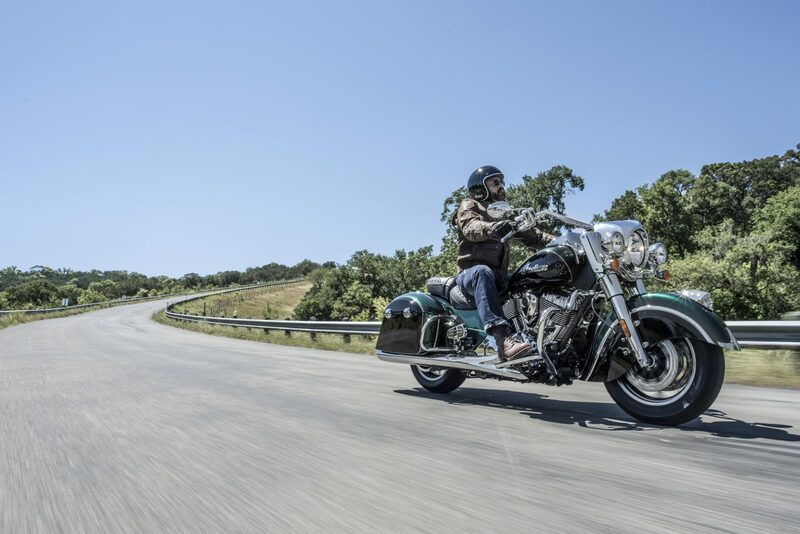 Indian’s 2018 line-up will be available in dealers throughout Europe, the Middle East and Africa from early 2018.